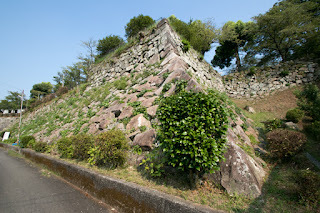 Nobeoka castle (延岡城) is located at Shiroyama hill, at the sandbank between Gokasegawa river and Osegawa river in the center of Nobeoka city. 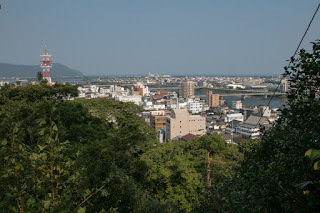 Nobeoka area places at the middle of Oita city and Miyazaki city, and an important stopping point on the long mountainous road between two cities. 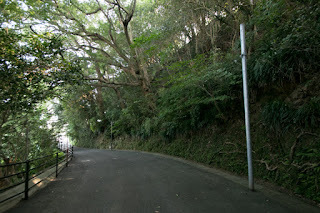 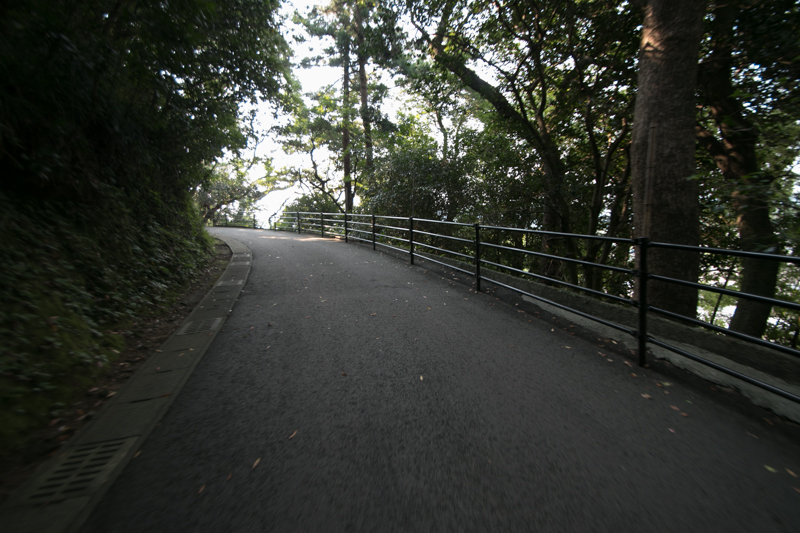 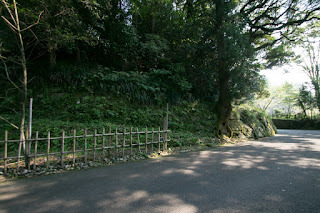 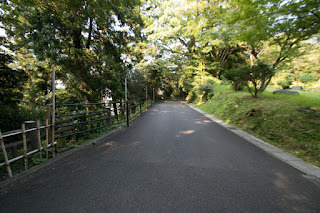 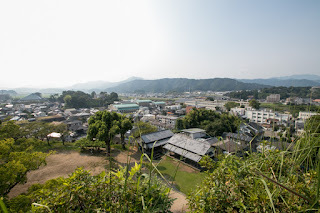 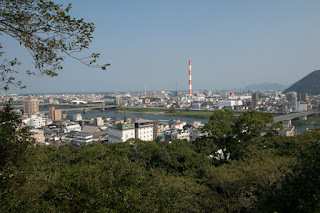 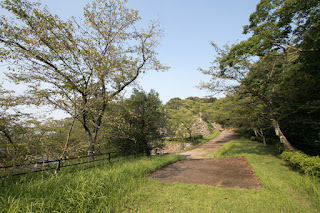 Nobeoka area is also a connecting point to the road across Kyushu island through Takachiho area and Aso mountain toward Kumamoto area. 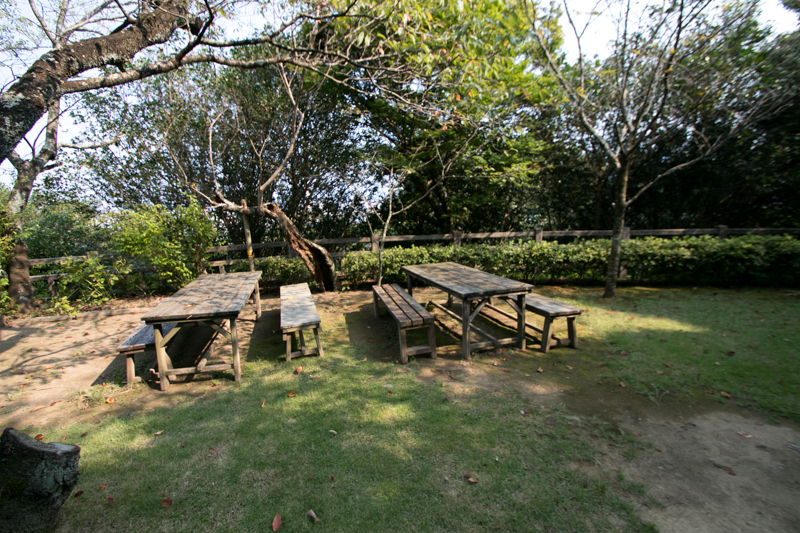 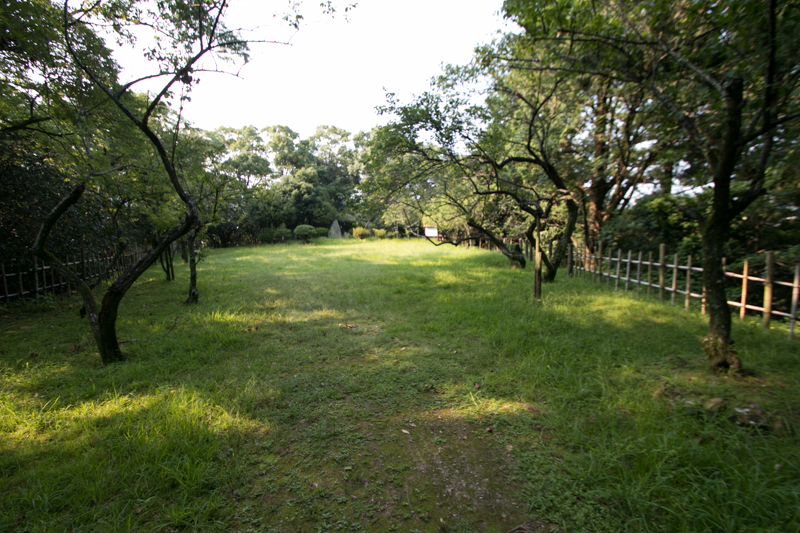 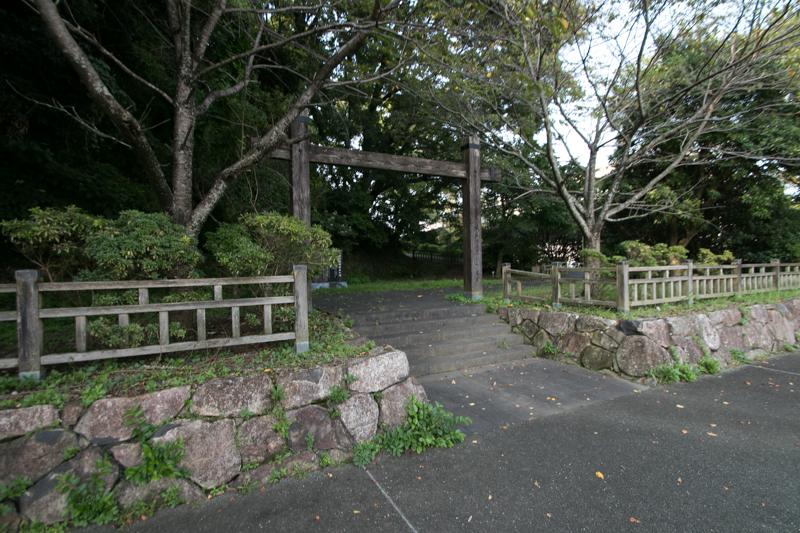 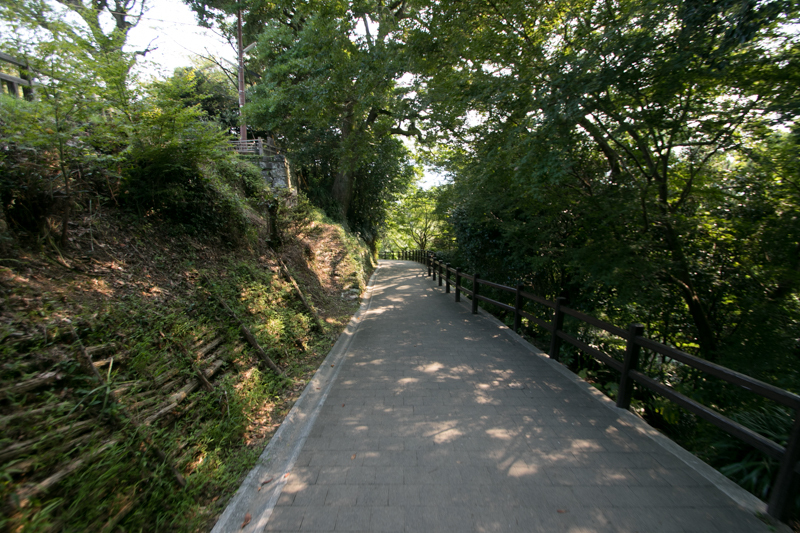 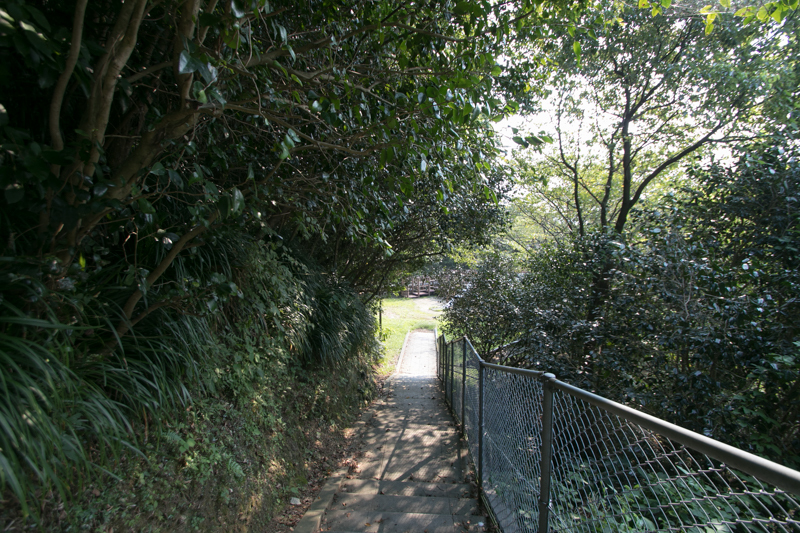 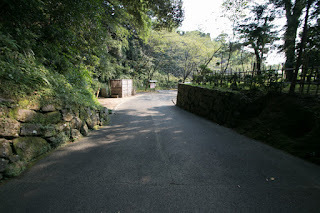 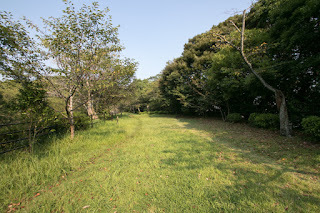 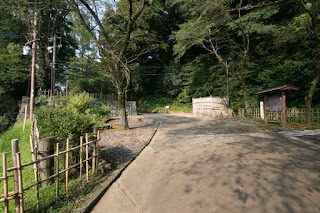 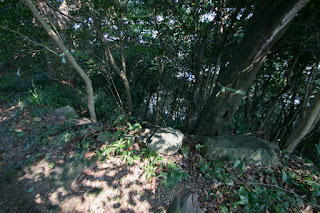 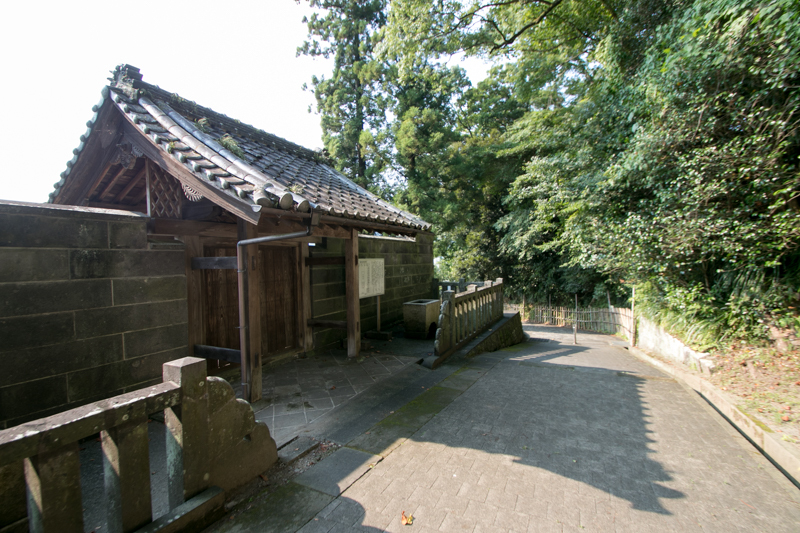 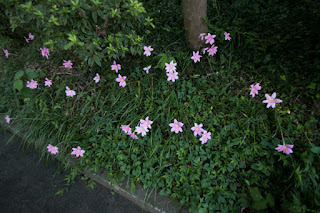 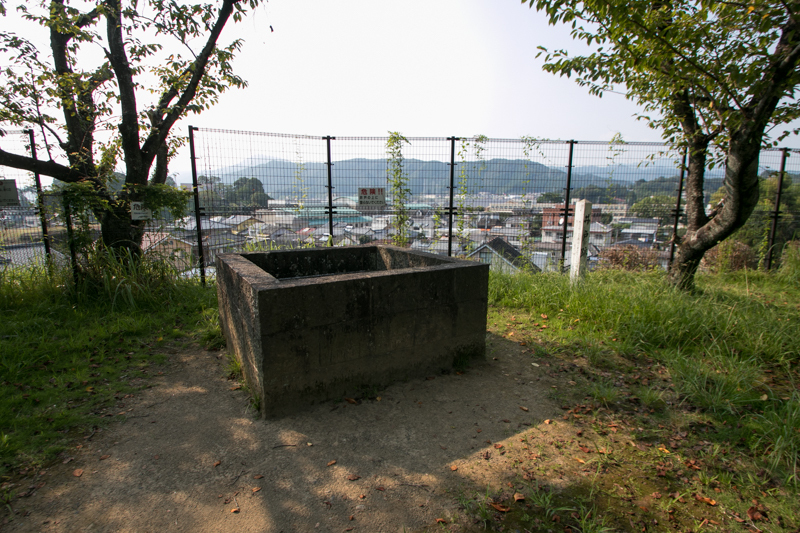 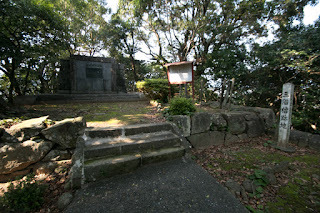 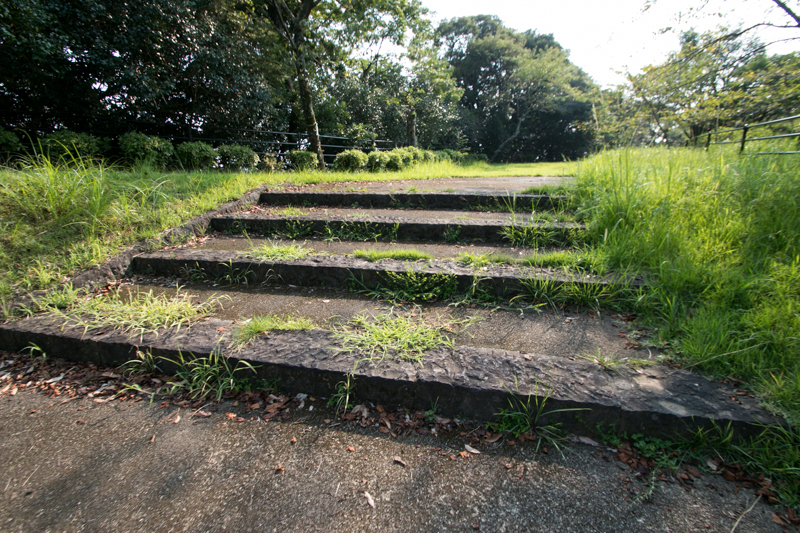 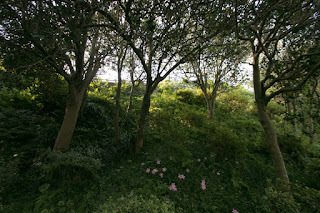 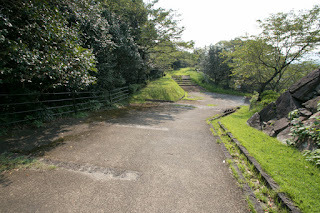 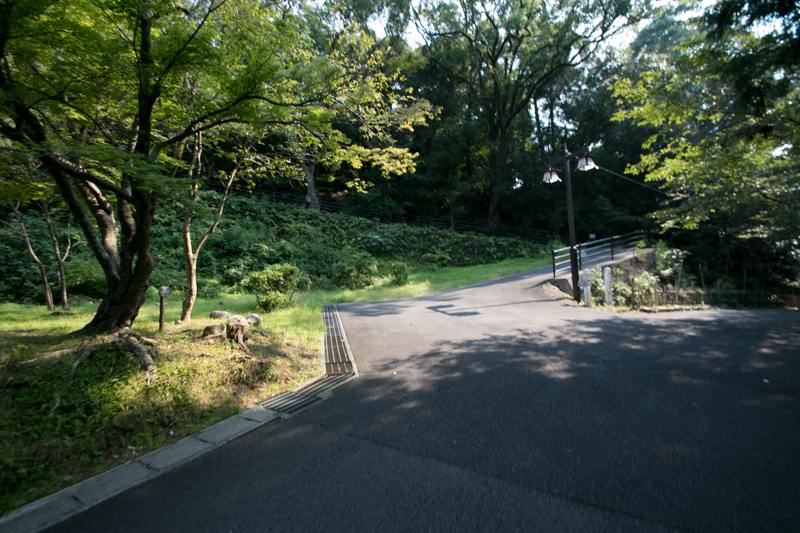 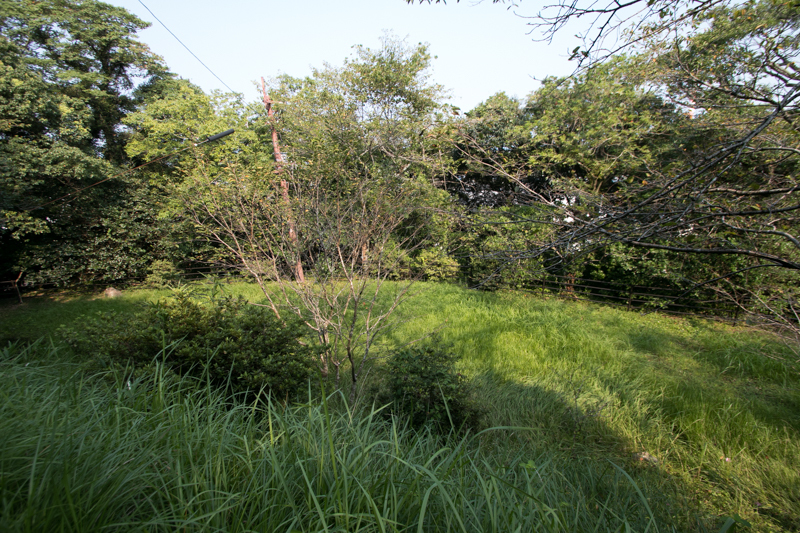 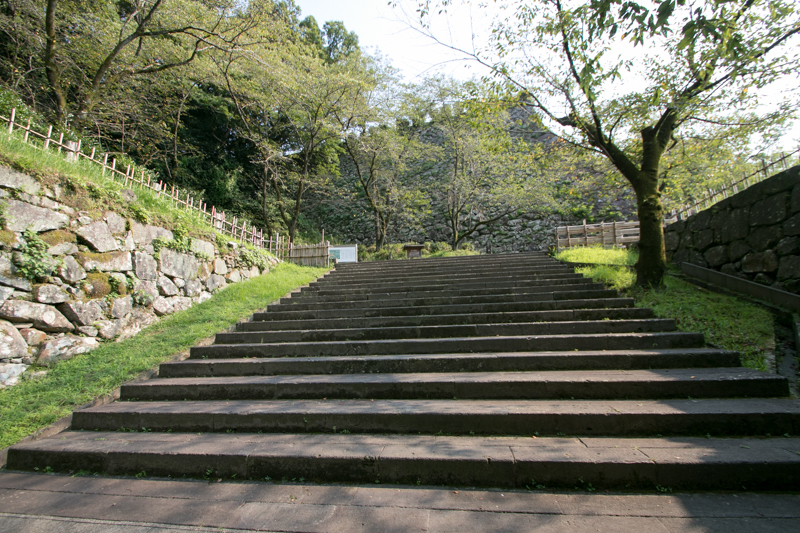 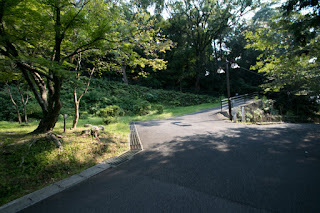 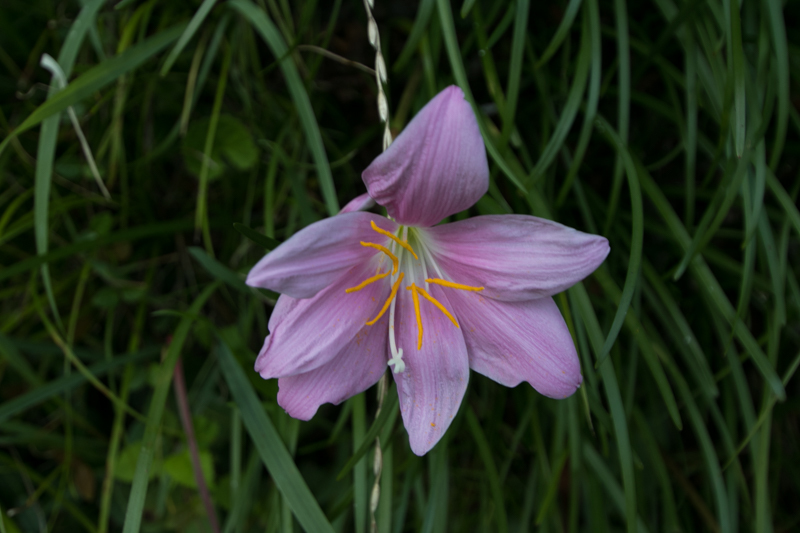 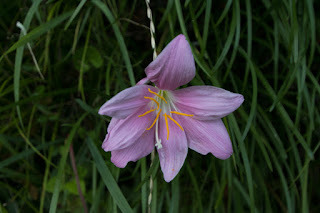 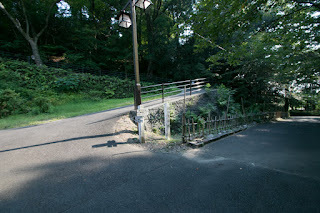 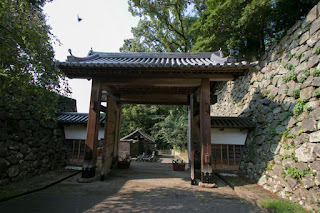 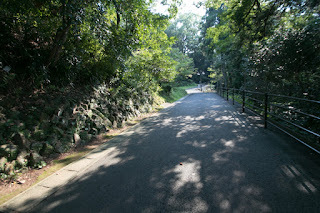 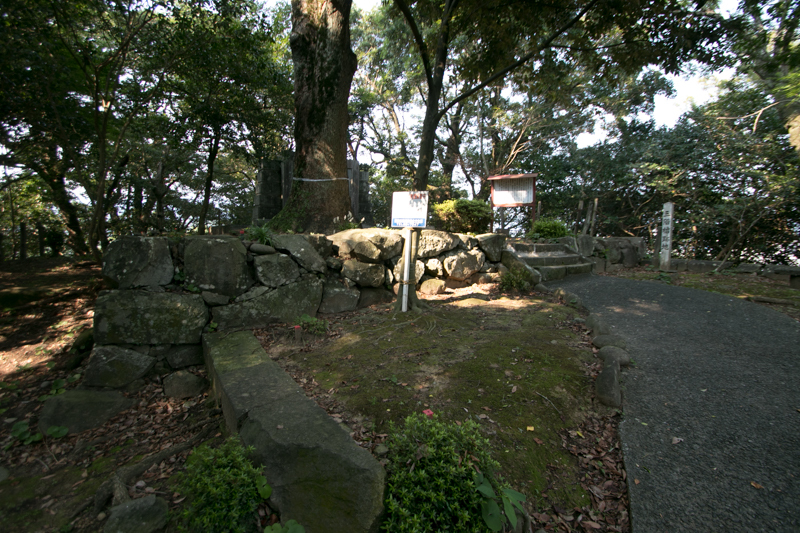 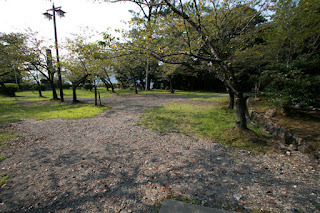 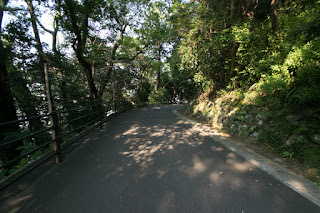 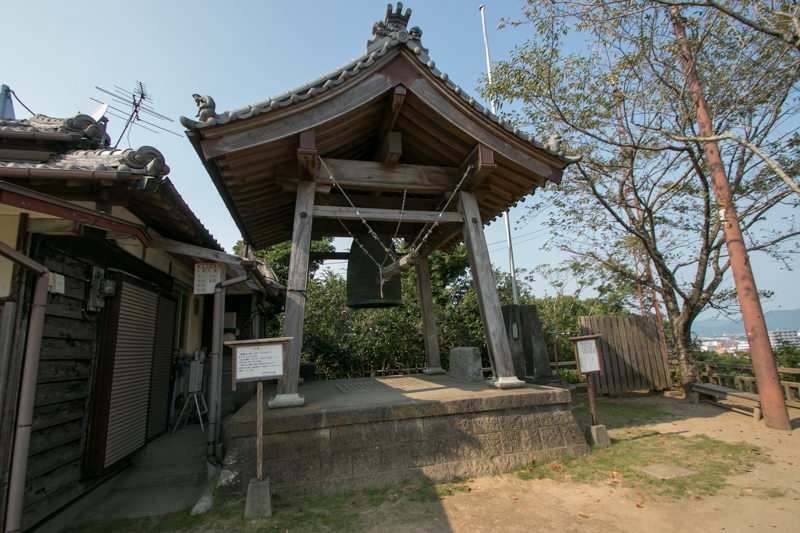 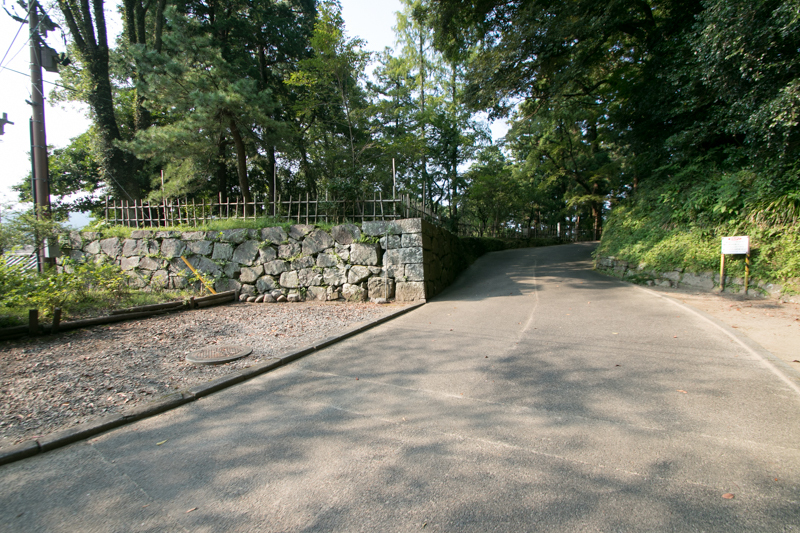 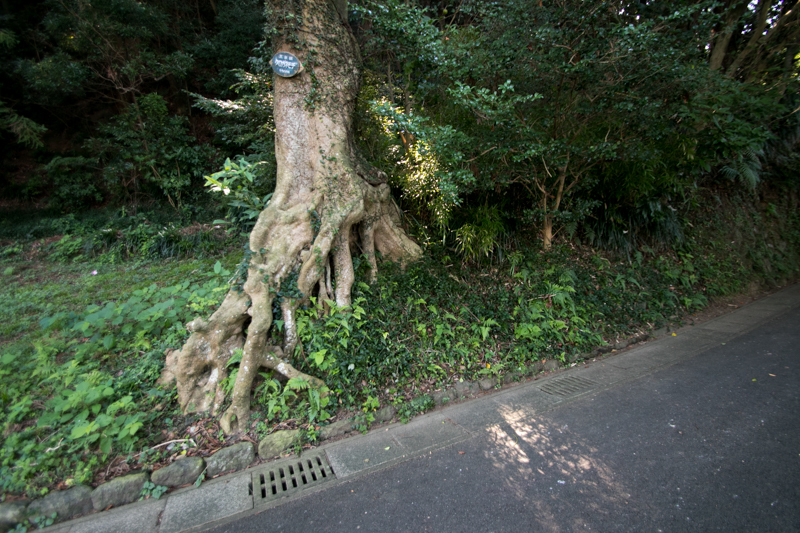 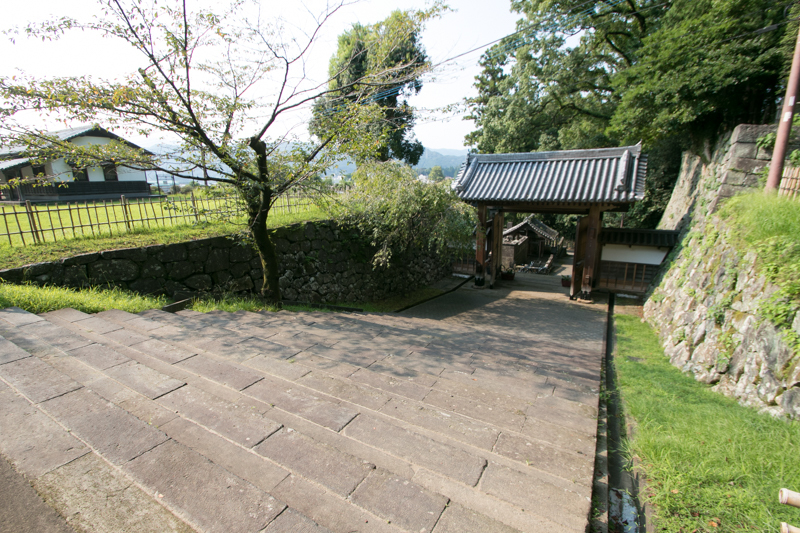 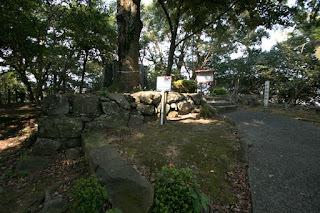 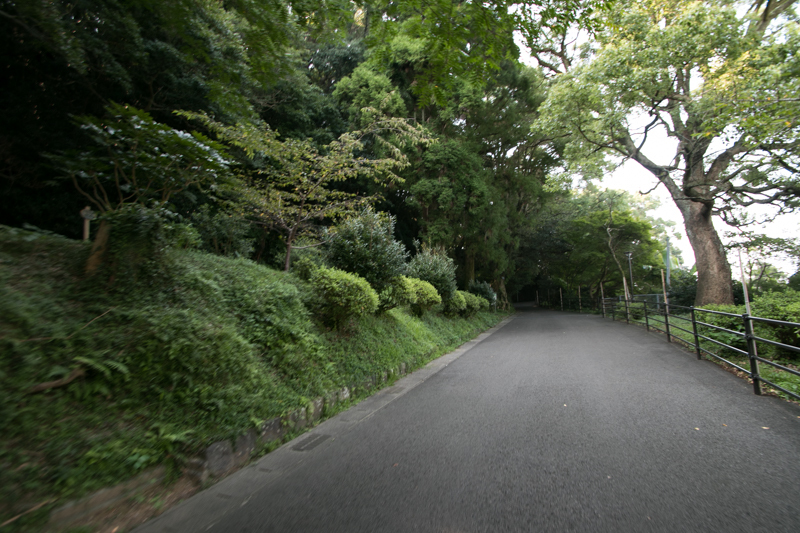 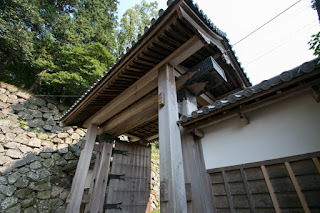 Historically Nobeoka area had been managed by local lord Tsuchimochi clan. 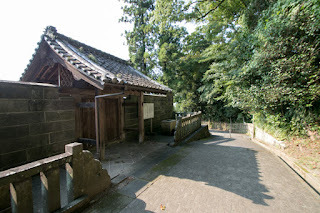 Tsuchimochi clan was originally a magistrate of the manner held by Usa Hachimangu shrine (Oita prefecture), and moved to Hyuga province (Miyazaki prefecture) in 10th century along with the expansion of the manner. 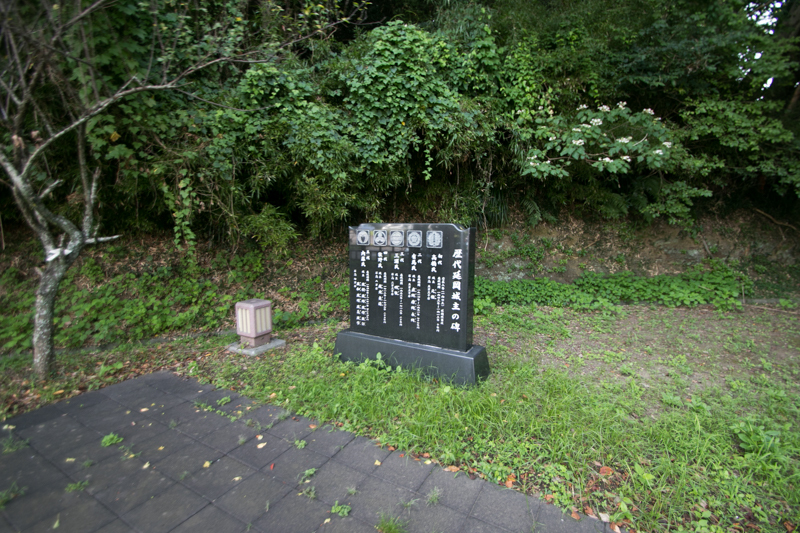 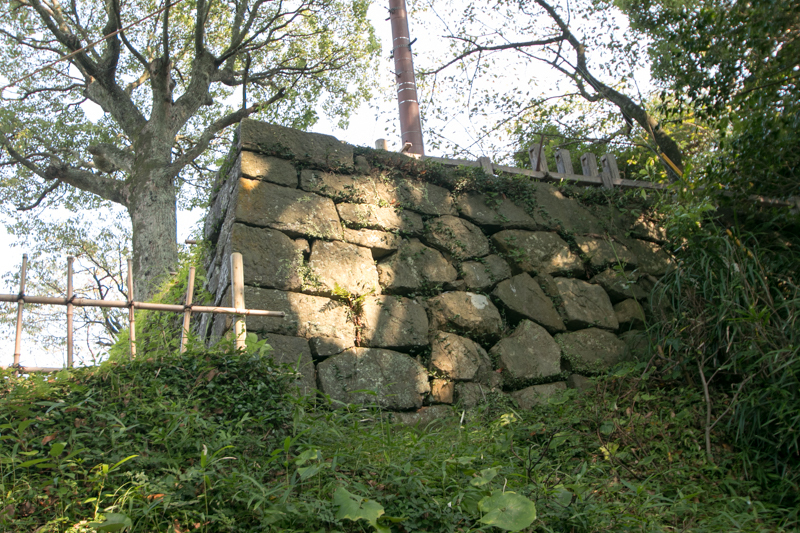 In 12th century, Tsuchimochi clan was the largest landlord in Hyuga province held vast lands around the nation. 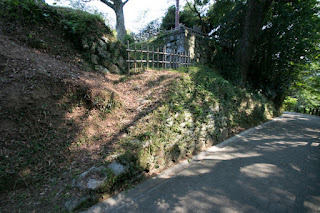 But after the establishment of Kamakura Shogunate by Yoritomo Minamoto (1147-1199), close retainers of Yoritomo were sent to Kyushu to control local lords. 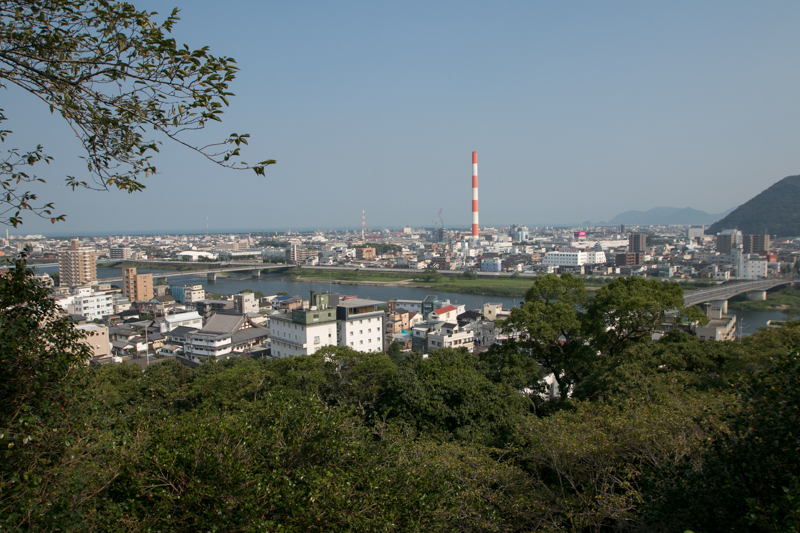 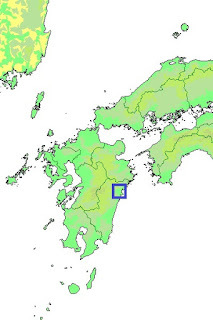 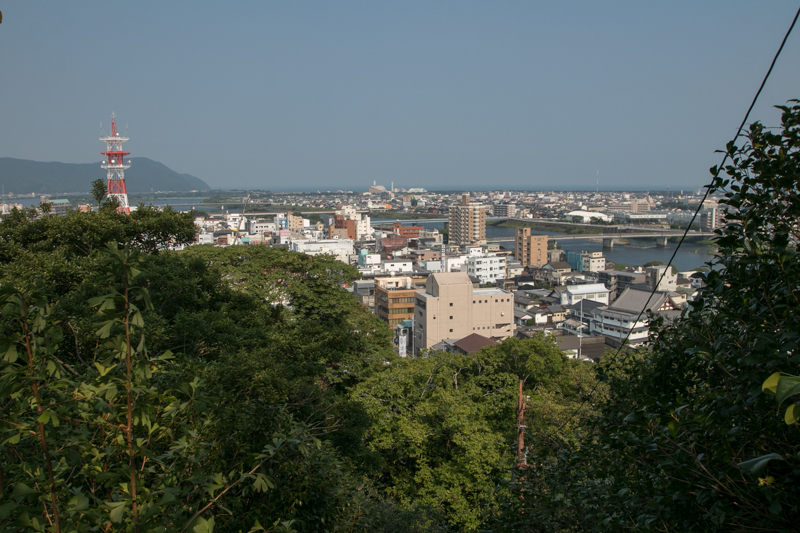 South part of Hyuga province with governor position was given to Shimazu clan long with Satsuma province and Osumi province (Kagoshima prefecture), and Ito clan also appointed as a lord of Miyazaki plain. 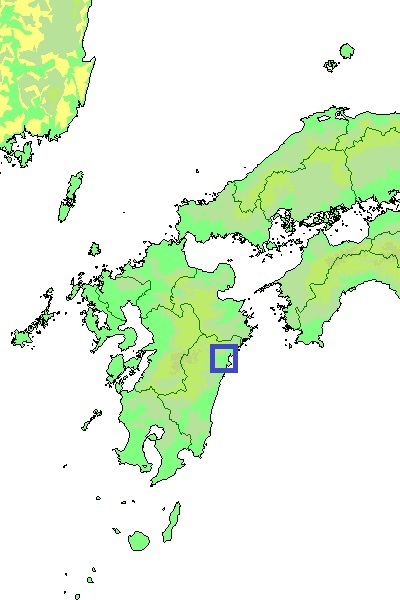 Tsuchimochi clan still kept north part, thus Hyuga province was separated by these three clans. 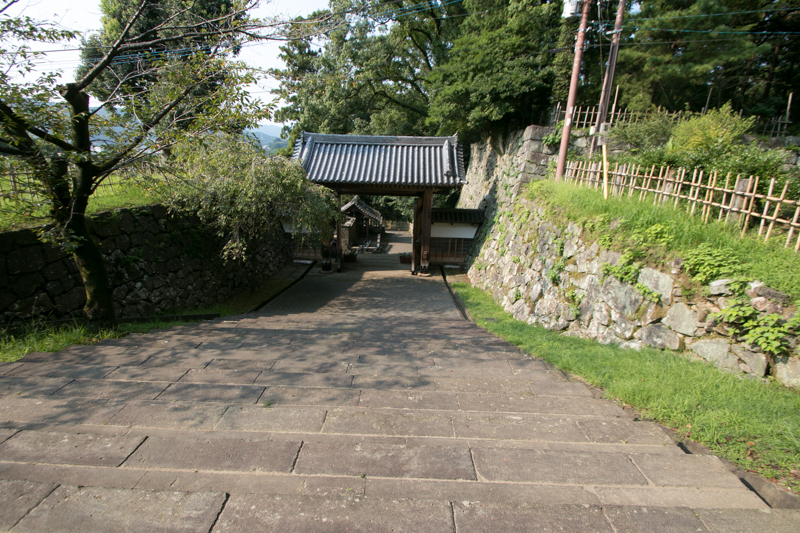 In Muromachi era, these three clans merged surrounding small lords and became the regional holder. 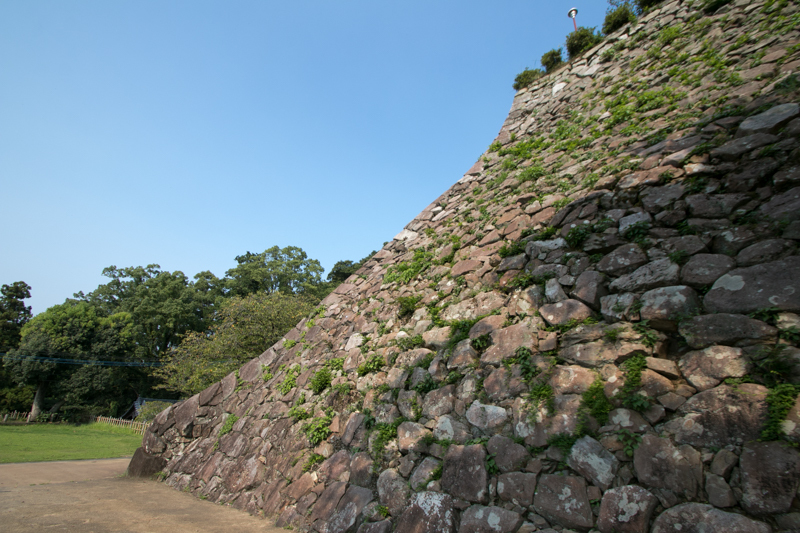 As a matter of course, these three clans gradually fought each other for further expansion. In the middle of 14th century, Shimazu clan lost its power because of their internal conflict, and Ito clan gradually grew their power. 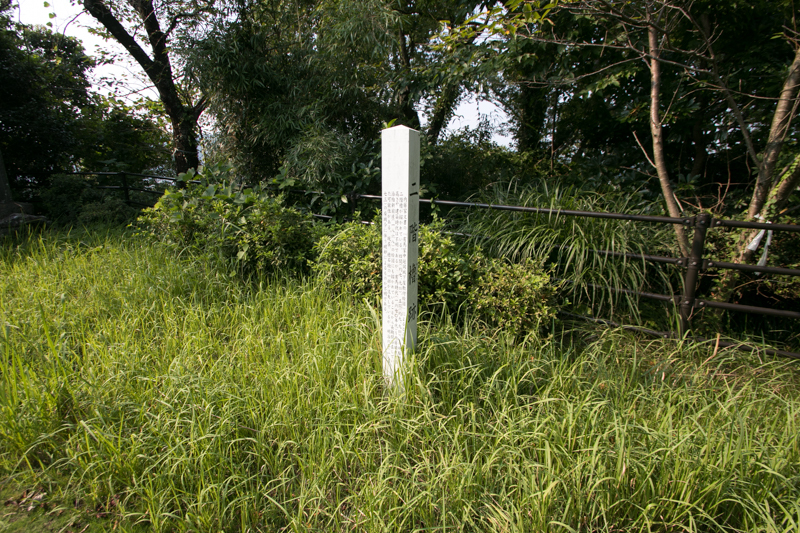 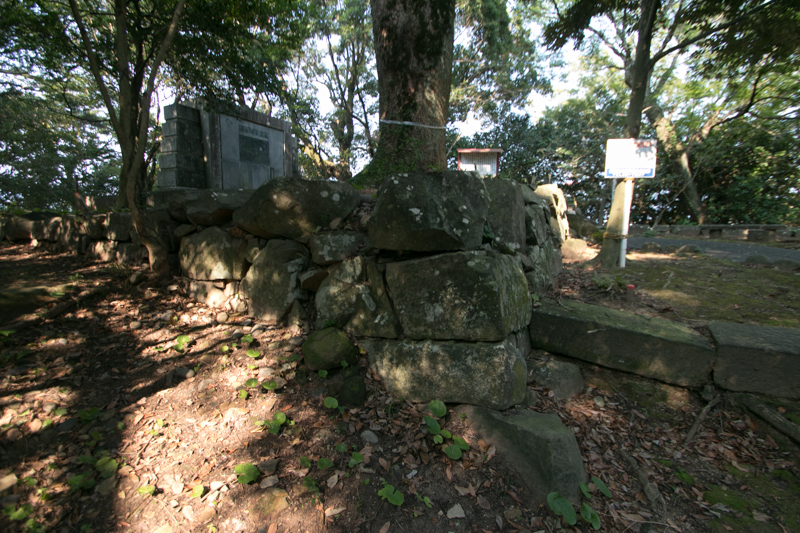 In 1456, Ito clan destructed Takarabe Tsuchimochi clan, a branch family of Tsuchimochi clan at the middle of Miyazaki plain and Nobeoka area. 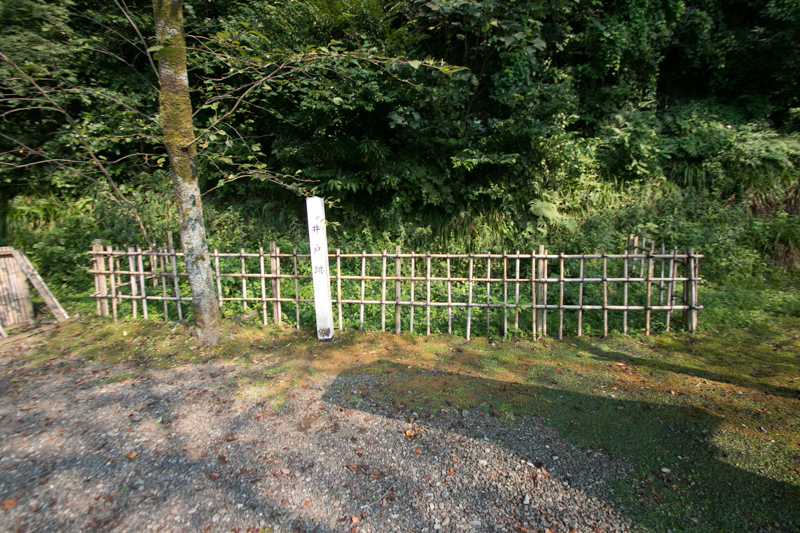 To cope with expanding Ito clan, Tsuchimochi clan secured their territory and subordinated to Otomo clan which was the governor of Bungo province (Oita prefecture). 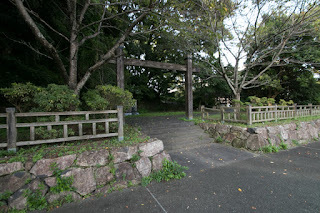 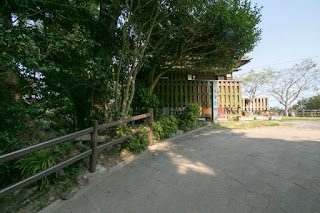 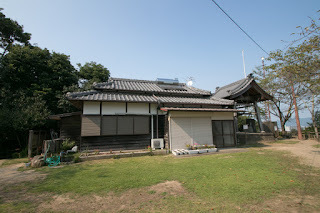 As Saeki clan, the lord of Saeki area just the north of Nobeoka area was a retainer of Otomo clan, Tsuchimochi clan relied on this connection. 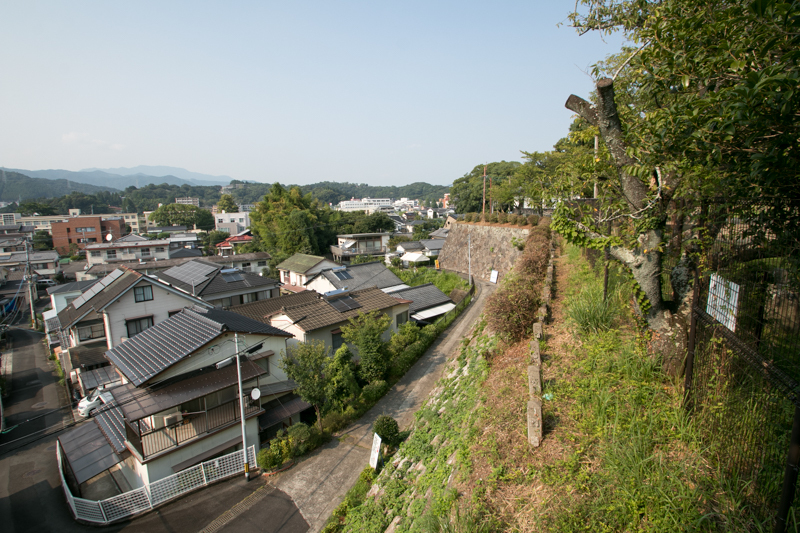 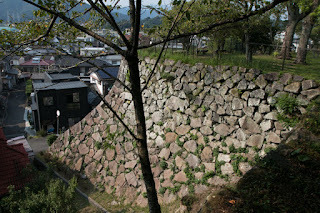 At the same time, Tsuchimochi clan built Matsuo castle at a little upstream from current Nobeoka castle as their residence. Tsuchimochi clan barely stood the pressure from Ito clan, but in 1577 Ito clan was destroyed by Shimazu clan which recovered their power. Looking at this situation Chikashige Tsuchimochi (?-1578) changed to Shimazu clan but it was a bit too early. 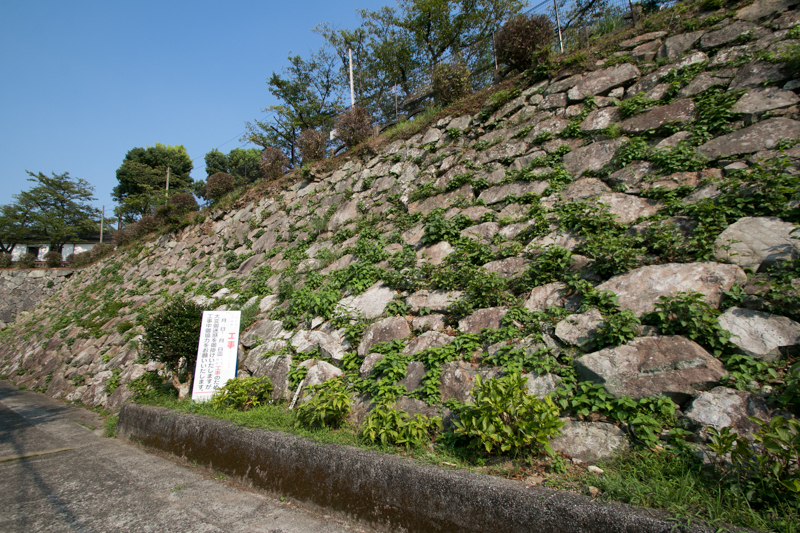 As Ito clan asked assistance to Otomo clan, then Otomo clan sent large army to Hyuga province and at first attacked betrayed Tsuchimochi clan. 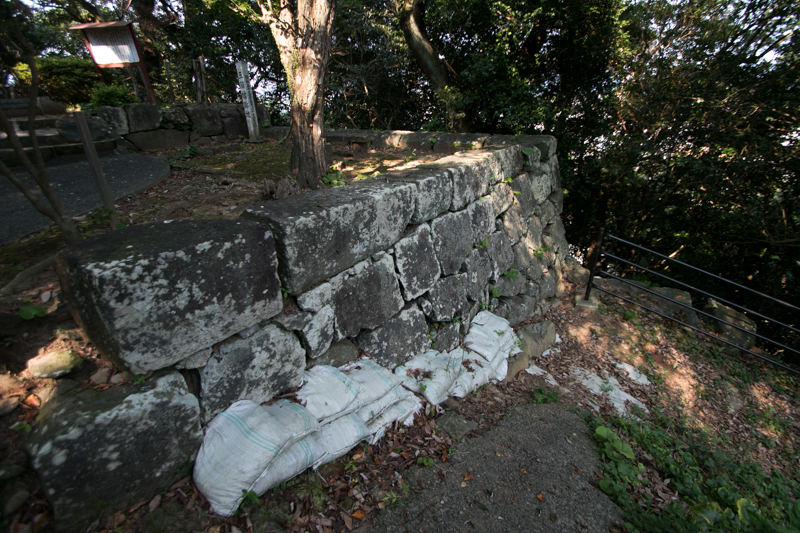 After a desperate siege Matsuo castle fell, and Chikashige was forced to die then history of Tsuchimochi clan ended. 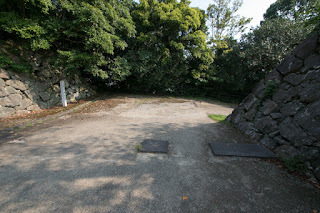 Ironically, just after that Otomo army suffered severe defeat before Shimazu army at the battle of Mimikawa and retreated from Hyuga province. Nobeoka area was once kept by Shimazu clan, but after the campaign by central ruler Hideyoshi Toyotomi (1537-1598), this area was given to Mototane Takahashi(1571-1614). Mototane was the second son of Tanezane Akizuki (1548-1596),which was originally a local lord of Kosyozan castle of Chikuzen province (Fukuoka prefecture). 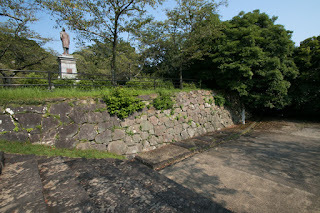 At the campaign of Hideyoshi Akizuki clan resisted to Hideyoshi but surrendered, then his brother Tanenaga Akizuki (1567-1614) and Mototane were both approved as feudal lord. 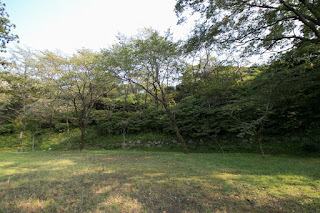 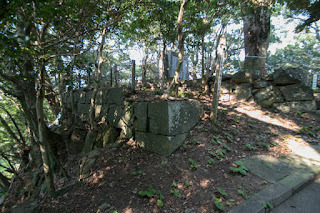 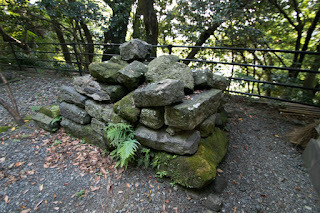 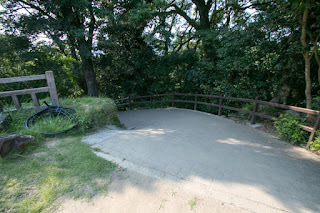 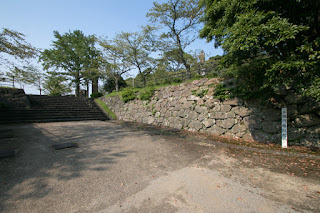 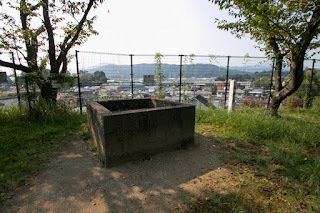 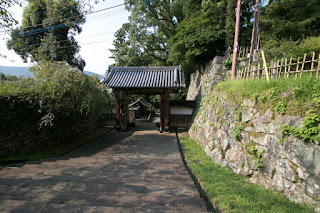 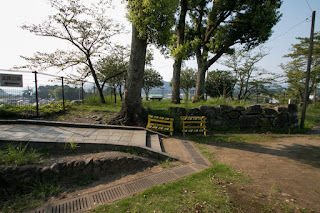 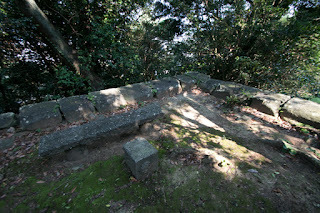 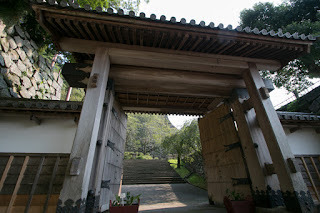 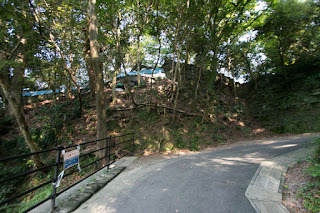 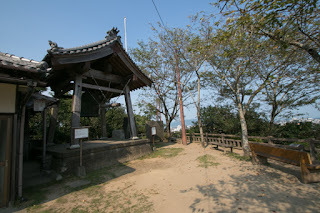 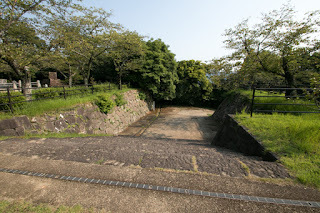 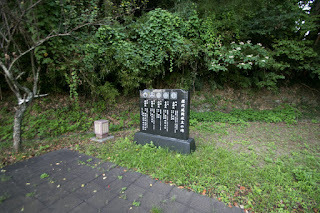 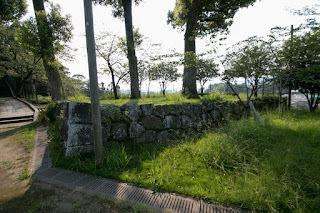 At the battle of Sekigahara after the death of Hideyoshi in 1600, Tanenaga Akizuki and Mototane Takahashi both belonged to Mitsunari Ishida (1560-1600) at first and guarded Ogaki castle (Gifu prefecture) which was the main base of Ishida side. 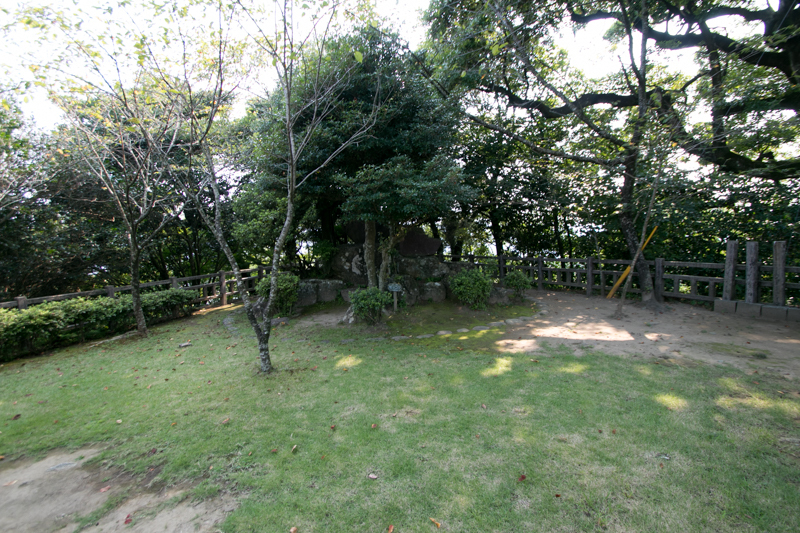 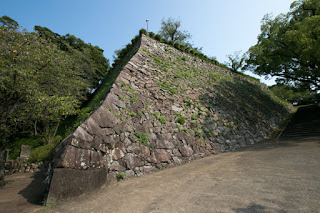 But just after the defeat of Mitsunari at the decisive battle at Sekigahara against Ieyasu Tokugawa (1543-1616), they accepted solicitation of betrayal then opened Ogaki castle. 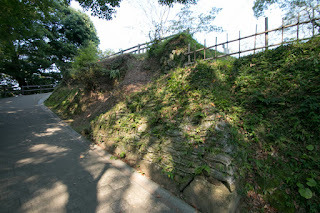 As a reward of this achievement, Mototane once continued as feudal lord of Nobeoka domain under Edo Shogunate. 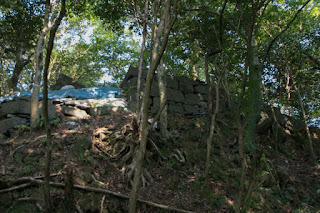 After the battle, Mototane started construction of Nobeoka castle (named as Agata castle at first) and completed in 1603. 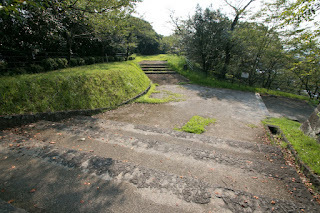 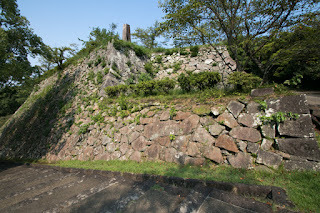 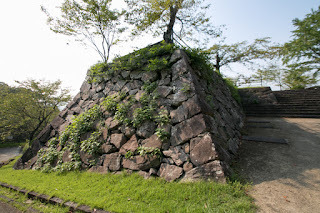 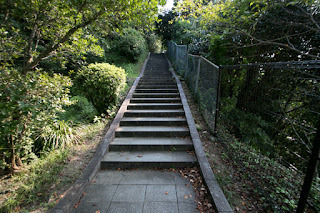 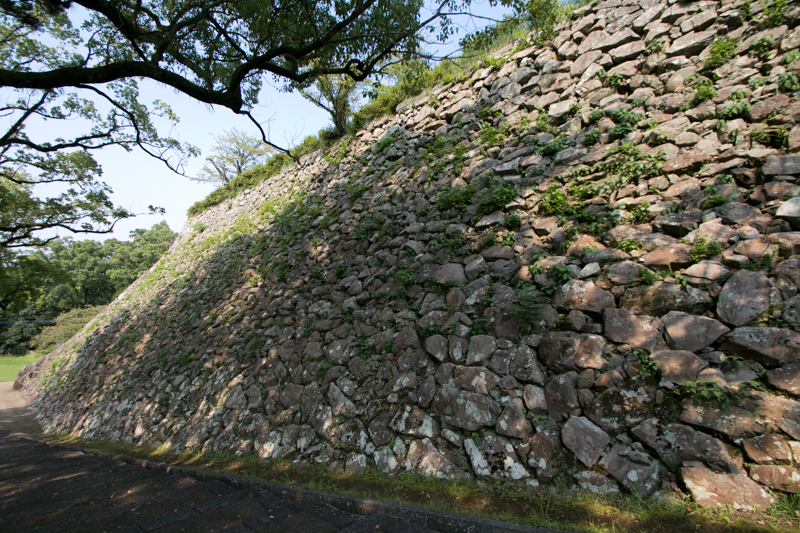 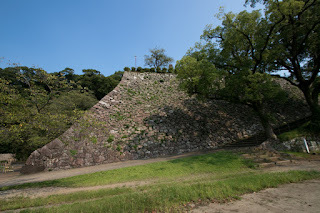 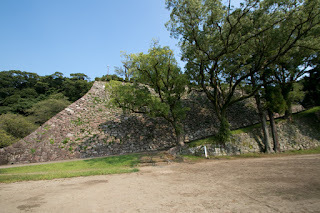 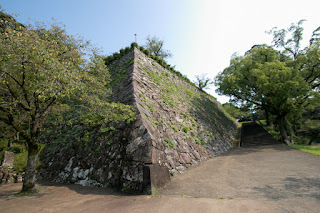 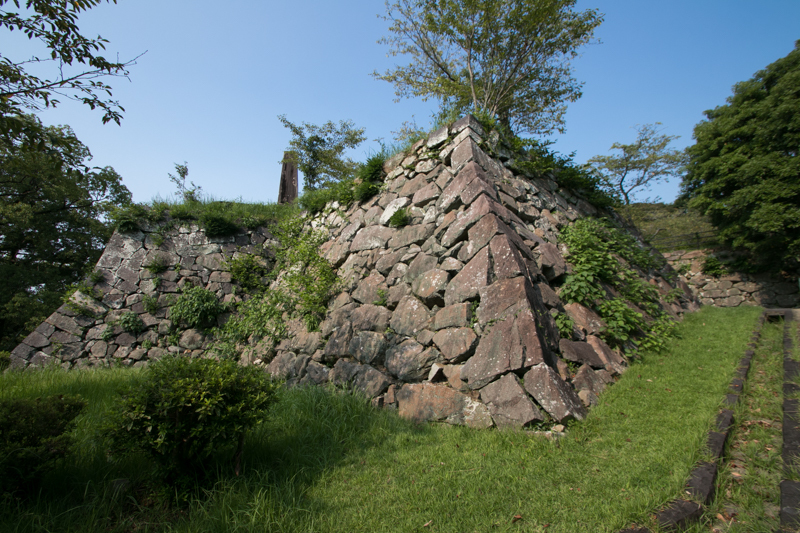 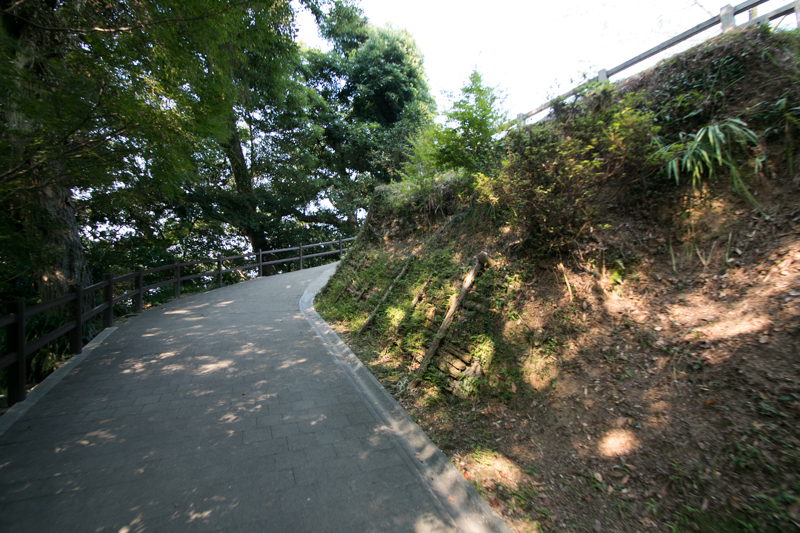 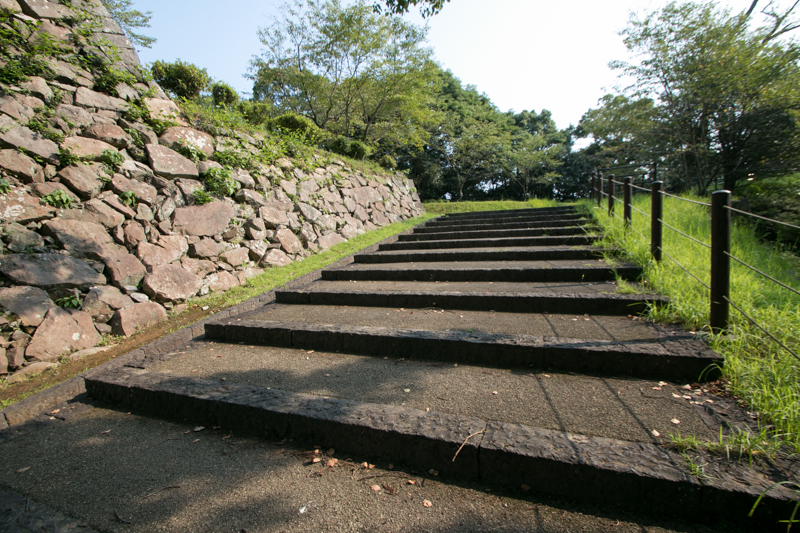 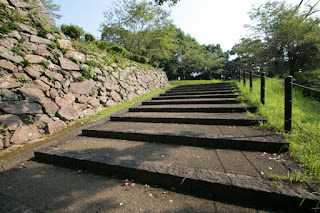 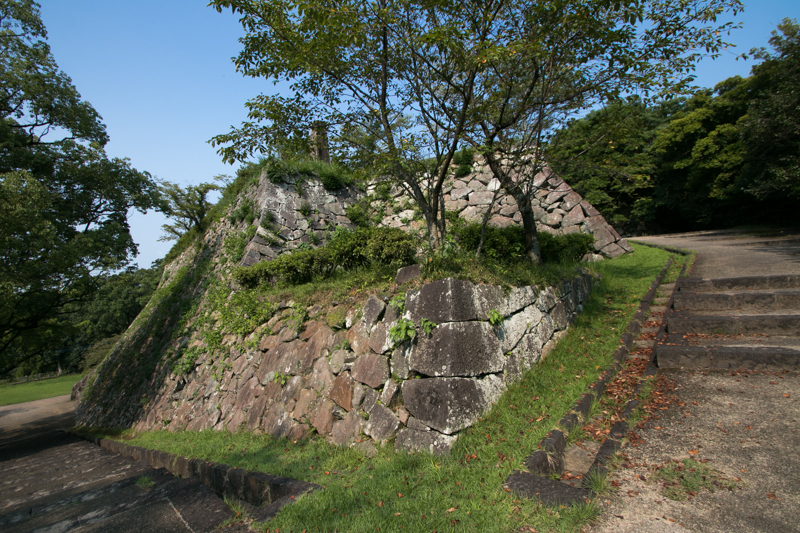 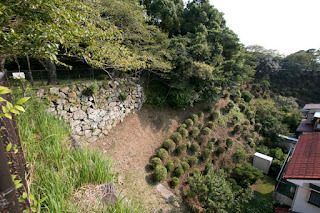 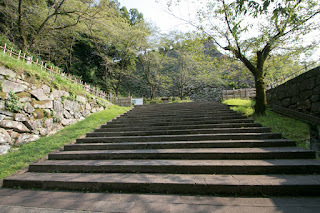 Nobeoka castle is built the hill whose shape is three layer ellipse shaped terrace like Ziggurat. 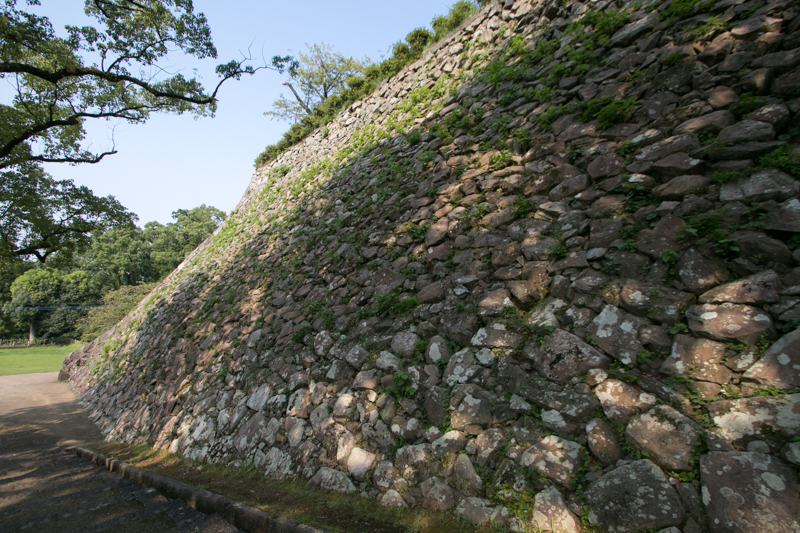 The center of upper terrace is inclined to southeast corner, thus each terrace spreads toward northwest ward from its top. 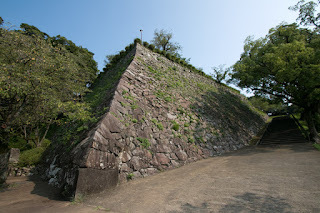 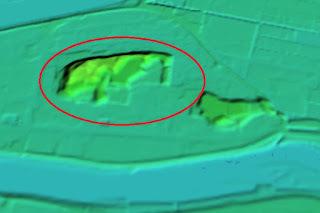 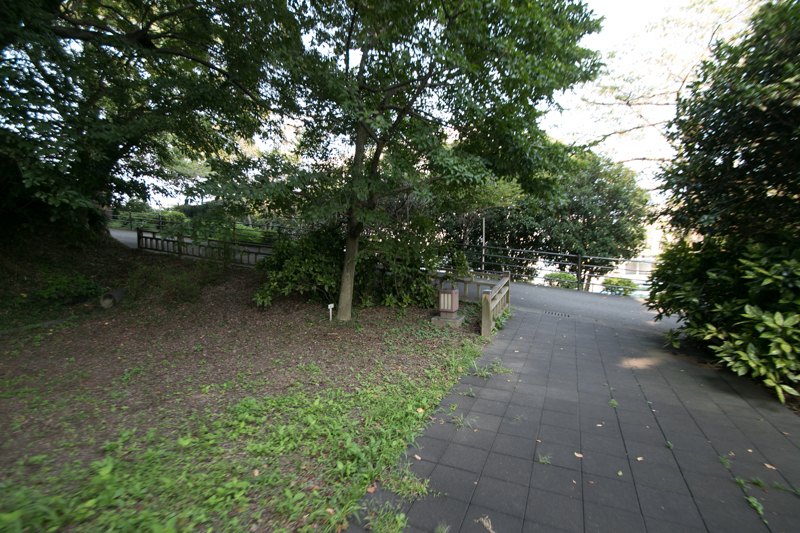 Based on this shape, western slope of the hill is the front side, and eastern half becomes the backside of the castle. On its front side, slopes of each terrace is covered by stone walls then it looks like a luxury castle of large lord. Especially on the slope between middle layer and top layer, huge stone walls over 20 meter height and 70 meter long named “Sennin Goroshi” (trap to kill 1,000 enemies) and magnificent straight stone step is built, looks like as if a Ziggurat of ancient Babylonia. 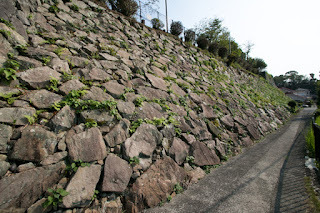 Elegant curve of this stone wall spread toward lower part is quite appealing. 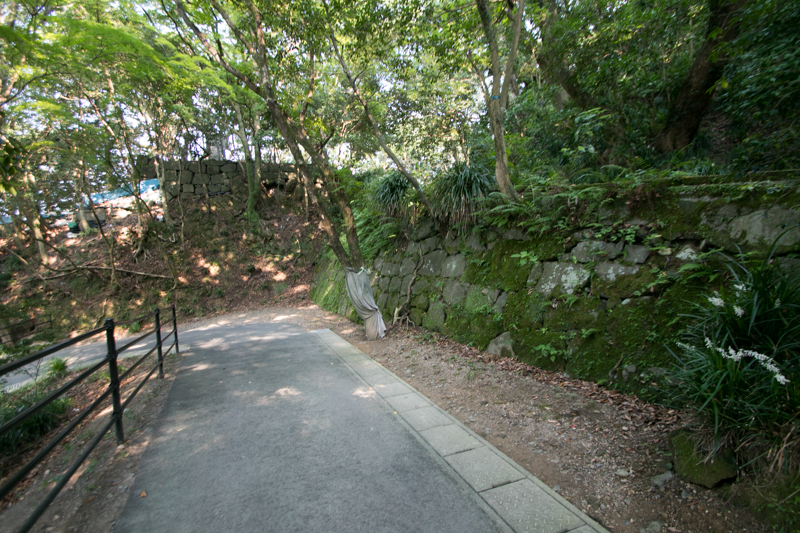 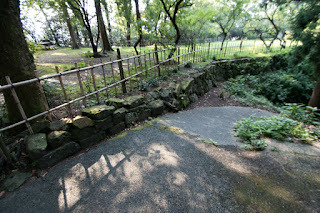 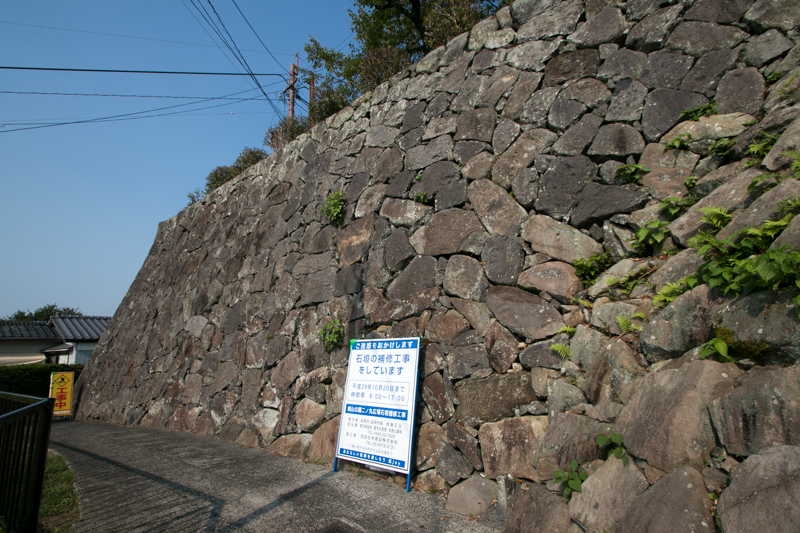 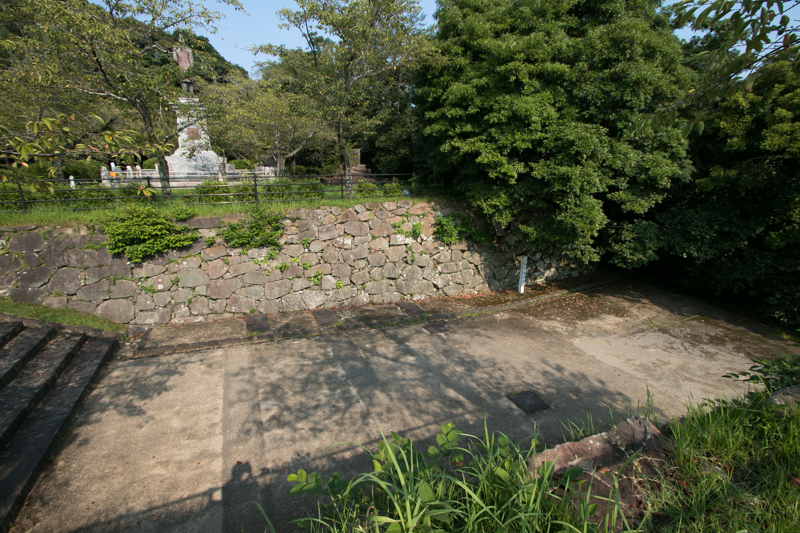 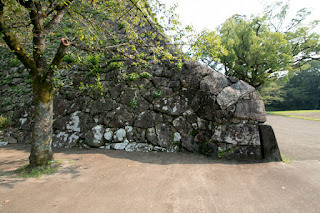 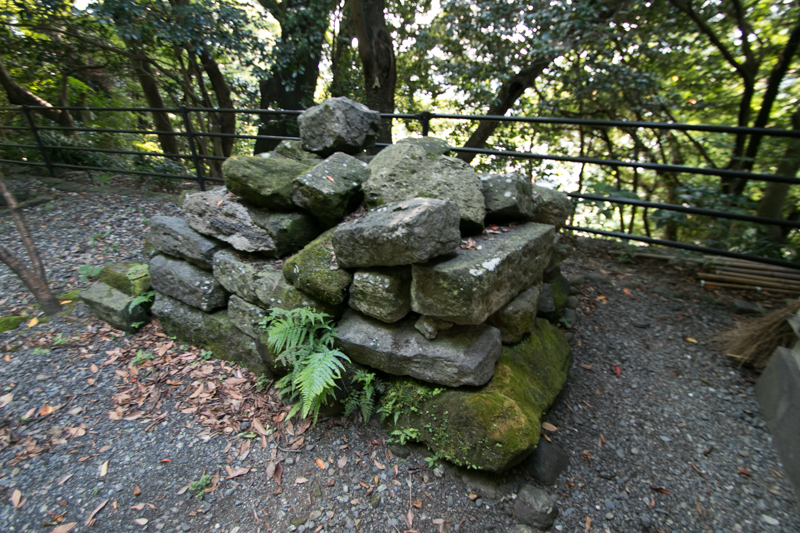 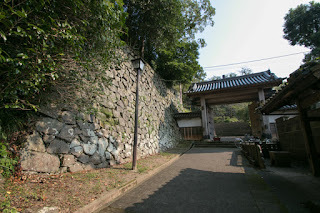 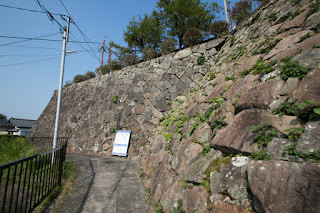 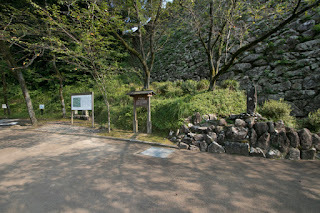 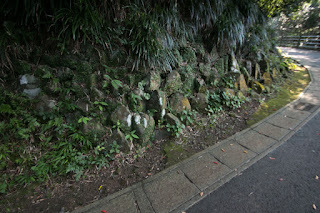 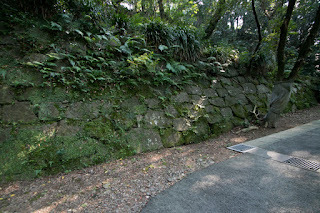 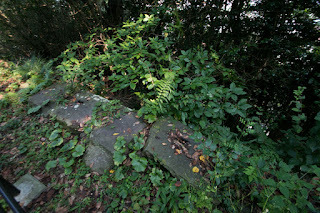 Just below this stone wall there is a main gate with small square entrance area. 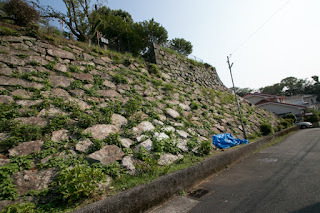 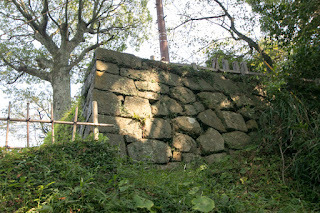 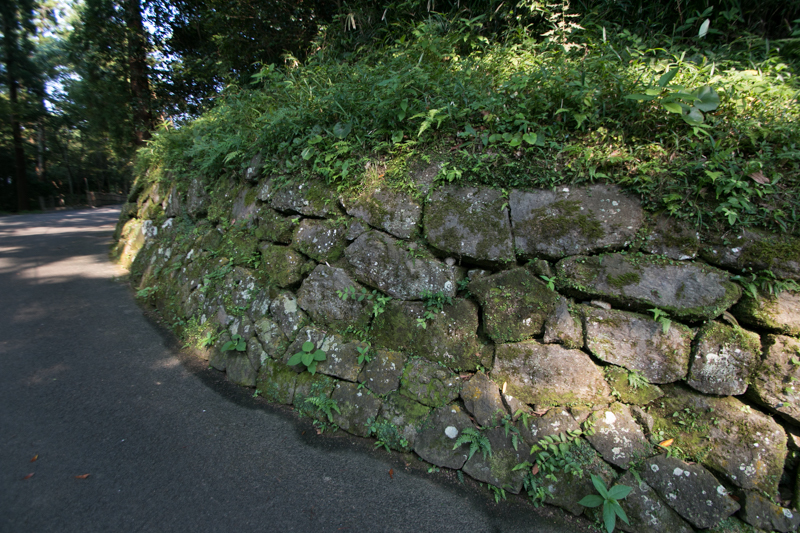 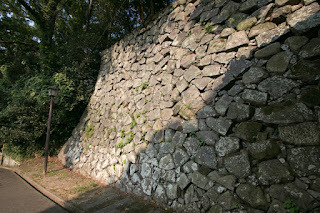 Stone wall surrounds western half of lower area, but not it lies among houses and difficult to see its whole shape. 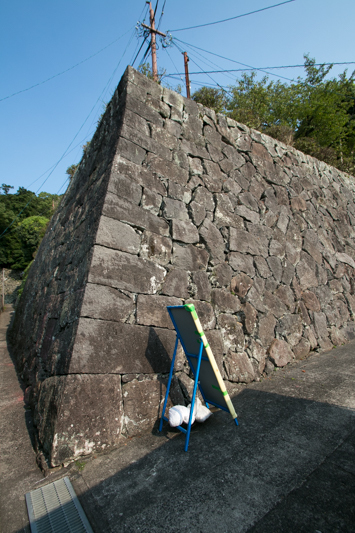 Contrary to front side, its back side is left as natural shape and almost no stone wall is built. It is unknown if Takahashi clan thought it unnecessary to secure this side, or just budget became short. 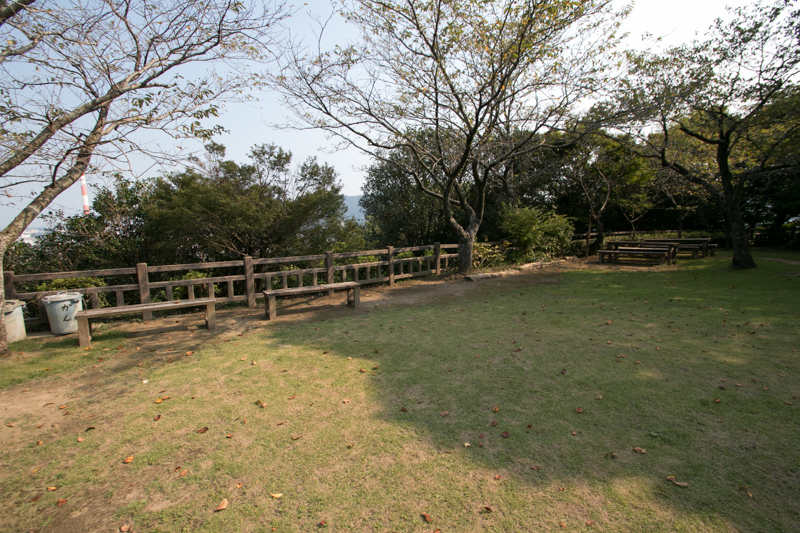 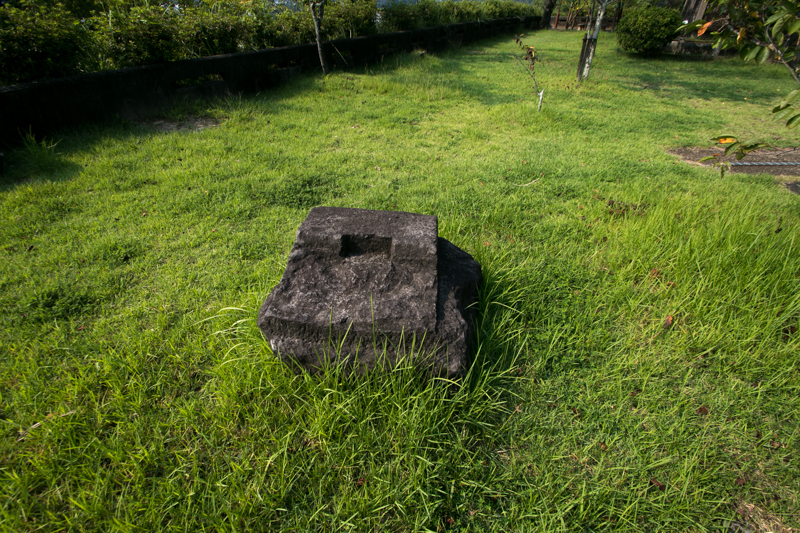 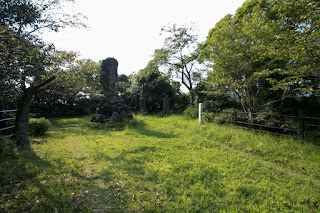 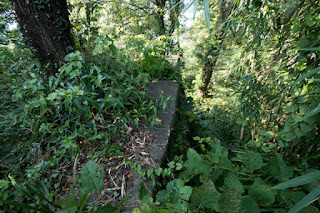 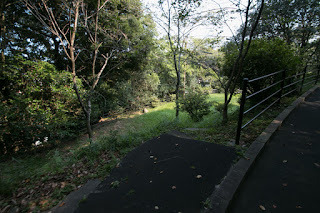 At the inner part of central area there is a round shaped hill and called as main tower basement, and there might be some tower at the time of original construction but later this area was not used. Instead of this, a three story turret as a substitute of main tower was built at eastern slope, somehow at the backside of the castle. 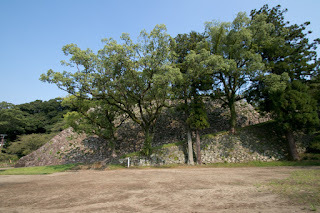 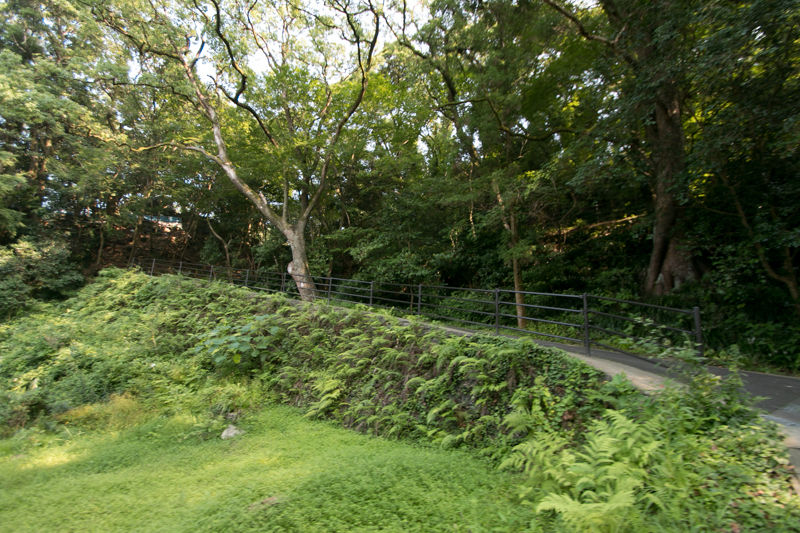 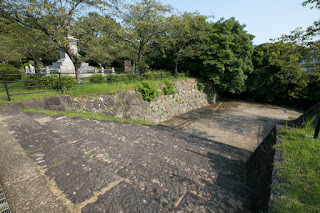 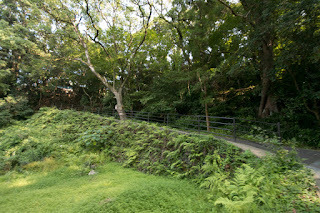 As Nobeoka castle stands between two rivers merge at the east of castle, as a military fortress the battle front of the castle is west and structure of the castle looks west. 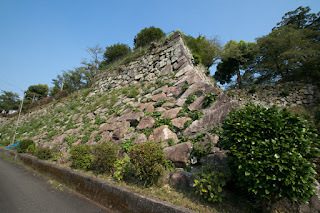 But later castle town spread eastward toward marine port and old highway, a symbolic tower might be added at the backside of the castle toward east. 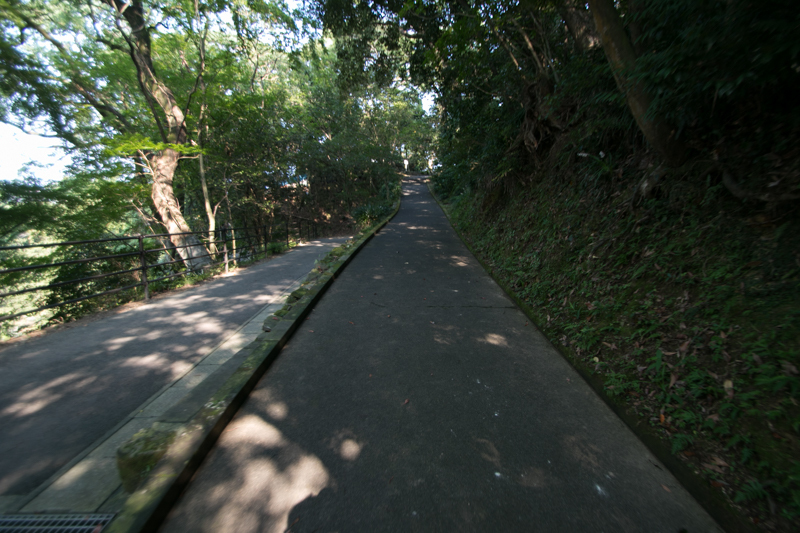 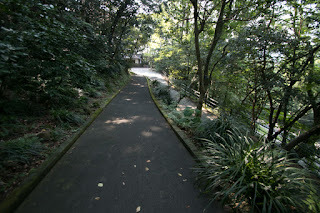 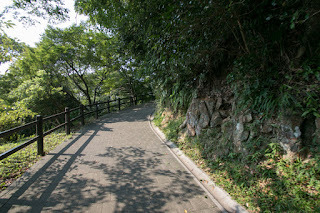 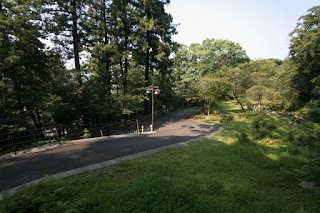 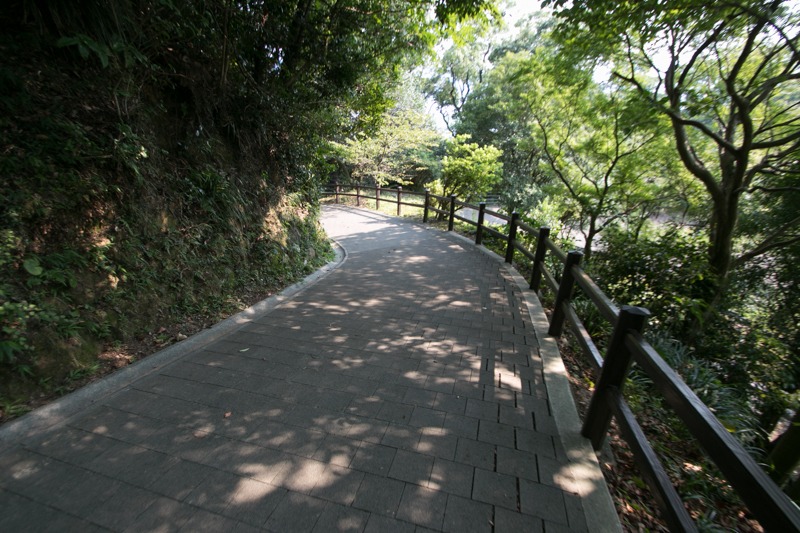 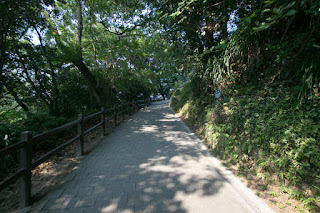 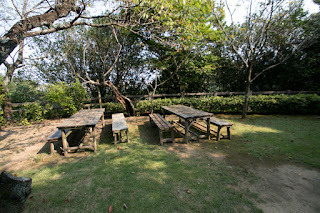 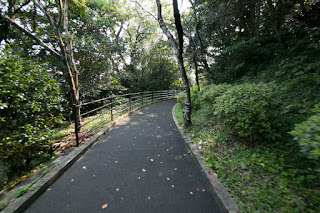 Total size of the hill is about 200 meter long and 100 meter wide. 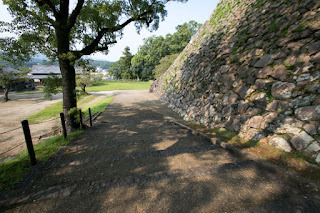 Interestingly, another height of 100 meter long square at 200 meter west of castle hill is used as western area. 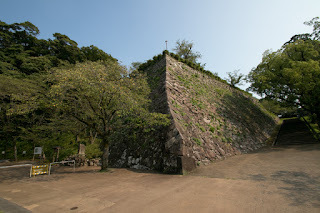 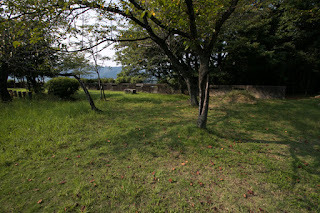 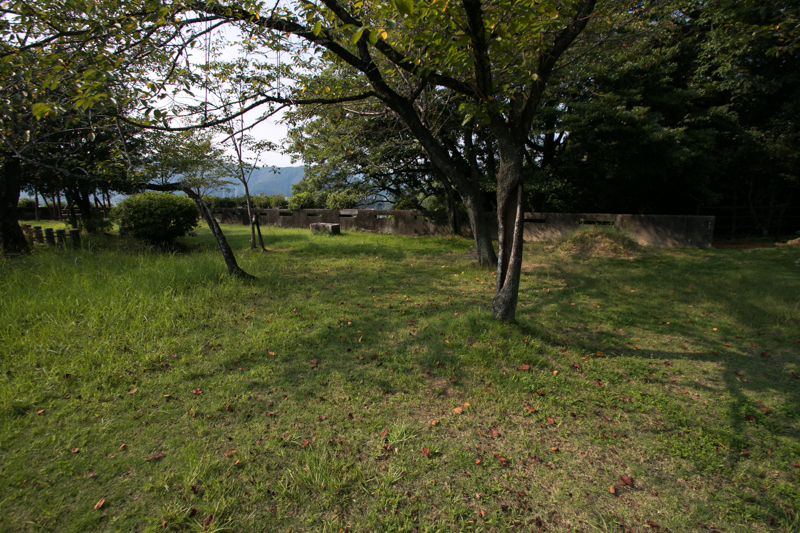 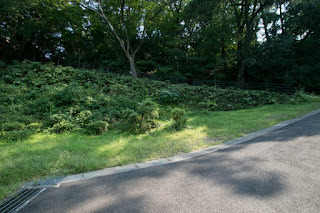 This area is used as a ground for the palace of the lord, but in case of emergency, it might work as an independent fort of the castle to make pincer attack to enemy which attacks main part of the castle. 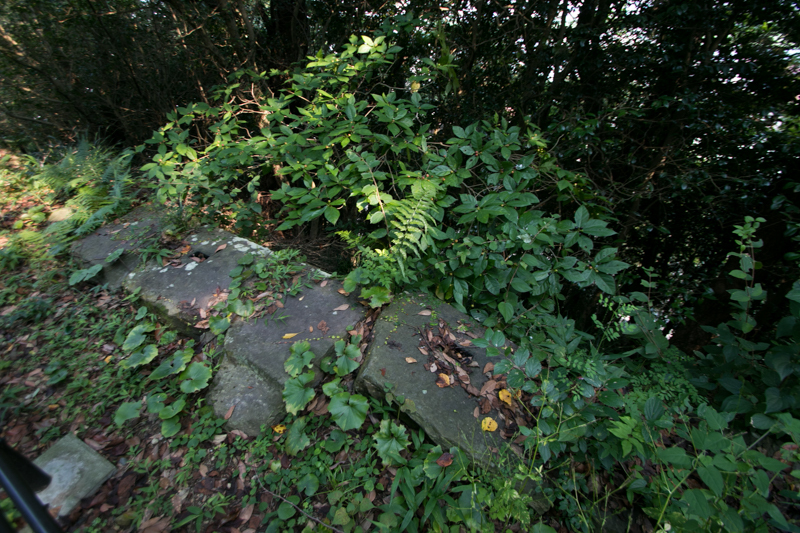 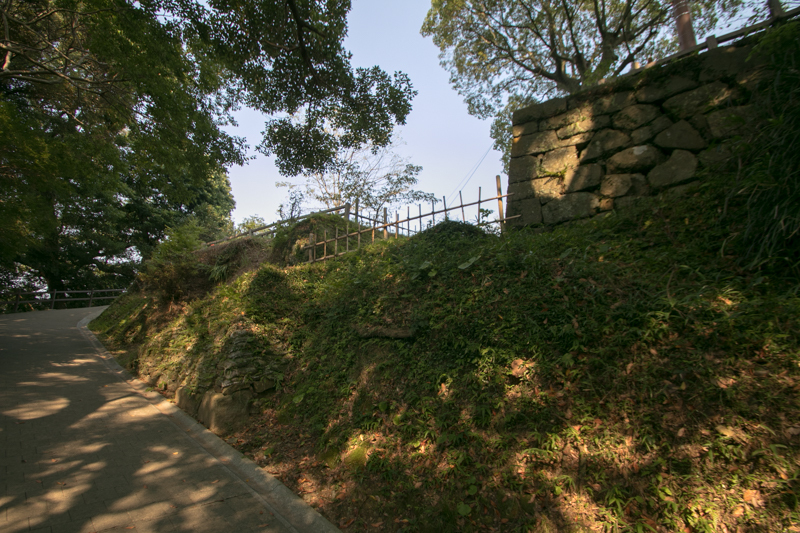 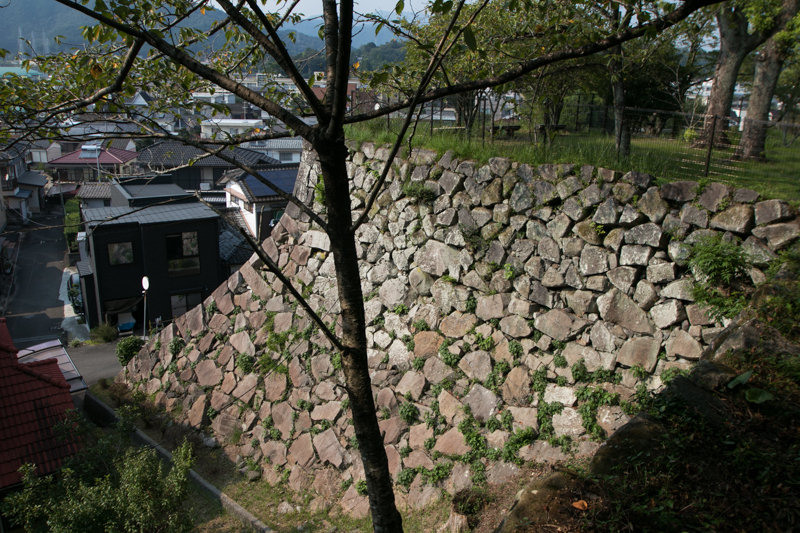 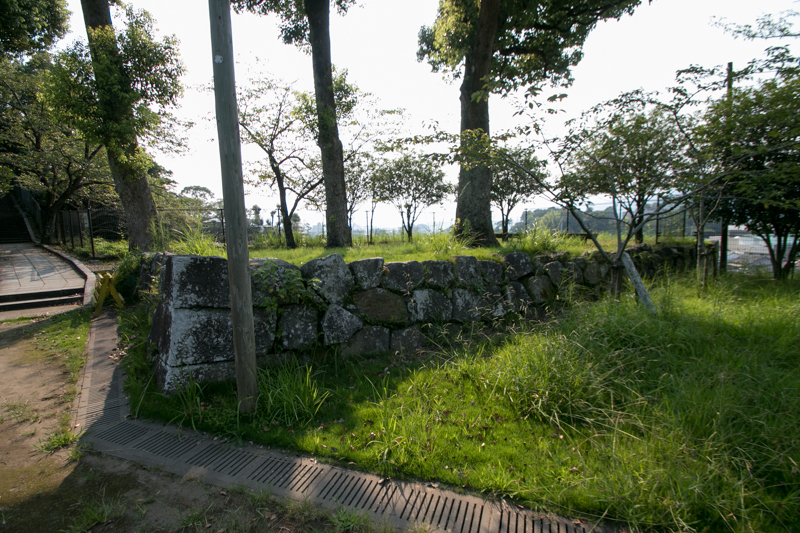 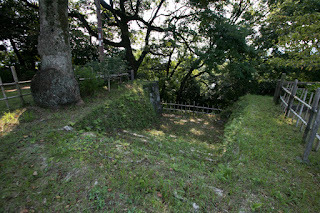 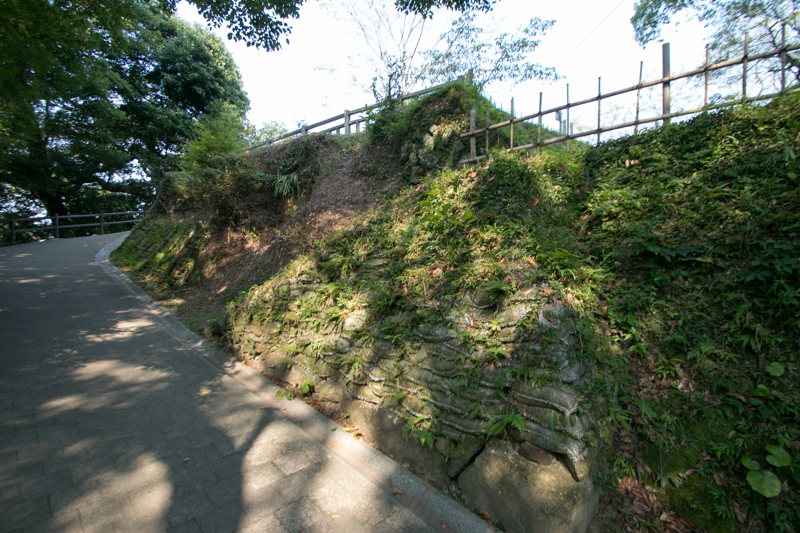 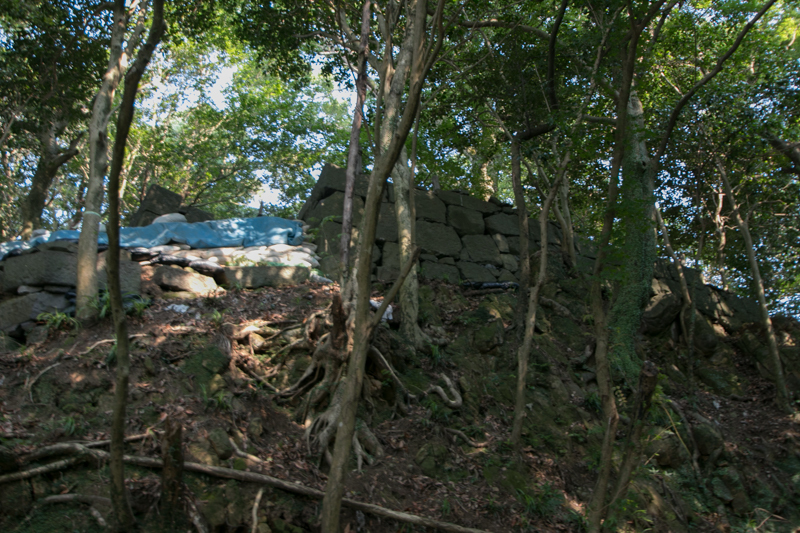 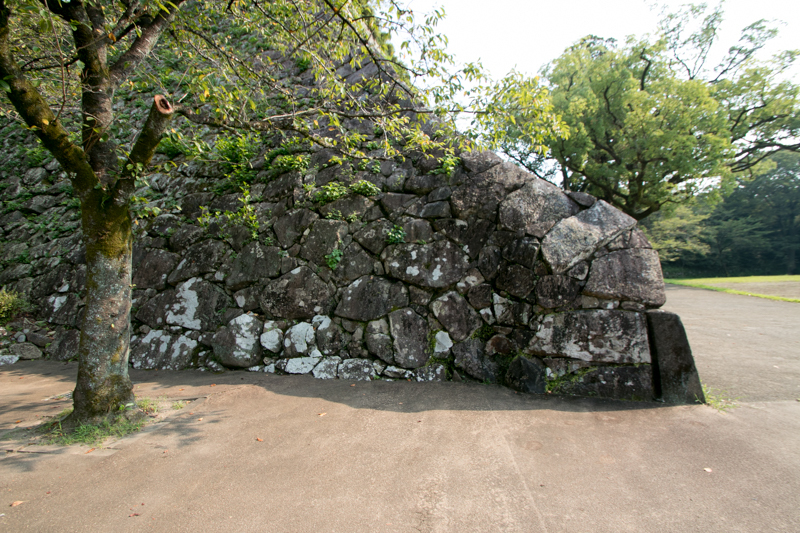 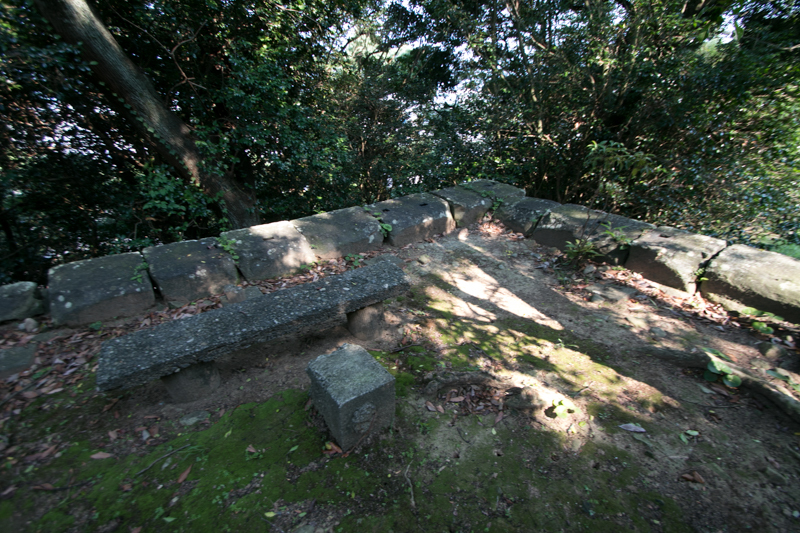 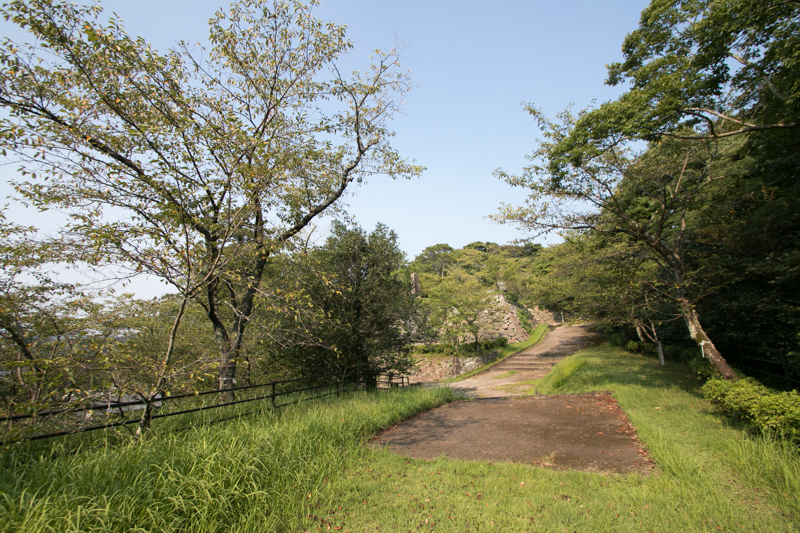 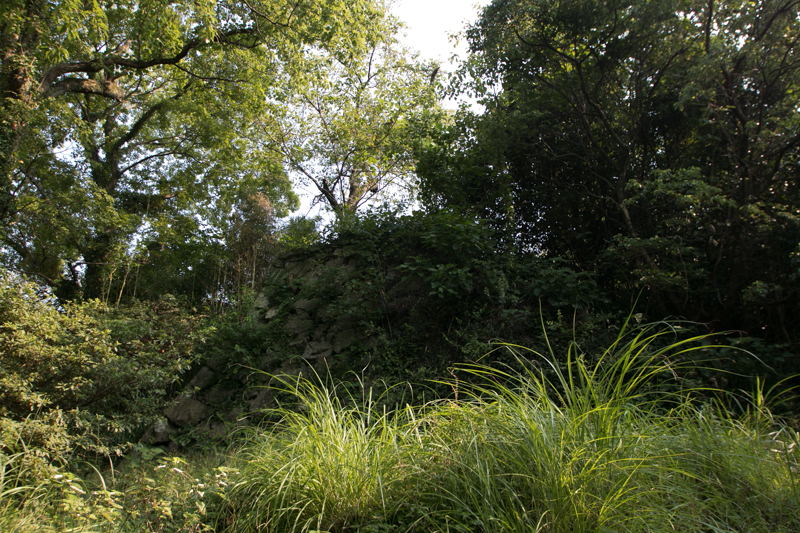 Even though a small one, but Nobeoka castle was a secure fortress as a combination of natural terrain and artificial structure. Takahashi clan held Nobeoka area until 1613, but was involved into the political conflict in Edo Shogunate and was expelled, then Naozumi Arima (1586-1614), former lord of Hinoe castle (Nagasaki prefecture) moved to Nobeoka castle. 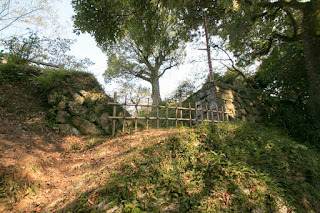 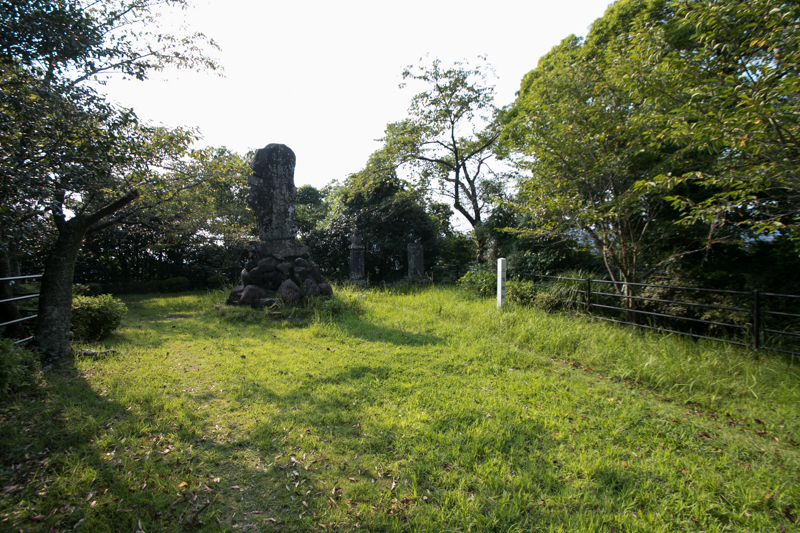 Arima clan reformed damaged Nobeoka castle around 1650, but lost its territory taking responsibility of rebellion of pheasants occurred in the territory. After Arima clan Nobeoka castle had been held by hereditary retainers of Edo Shogunate, and on and after the middle of 18th century Naito clan kept this castle by the end of Edo Era. 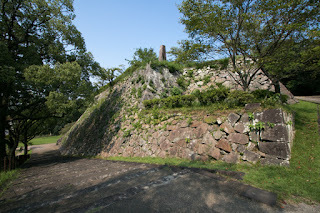 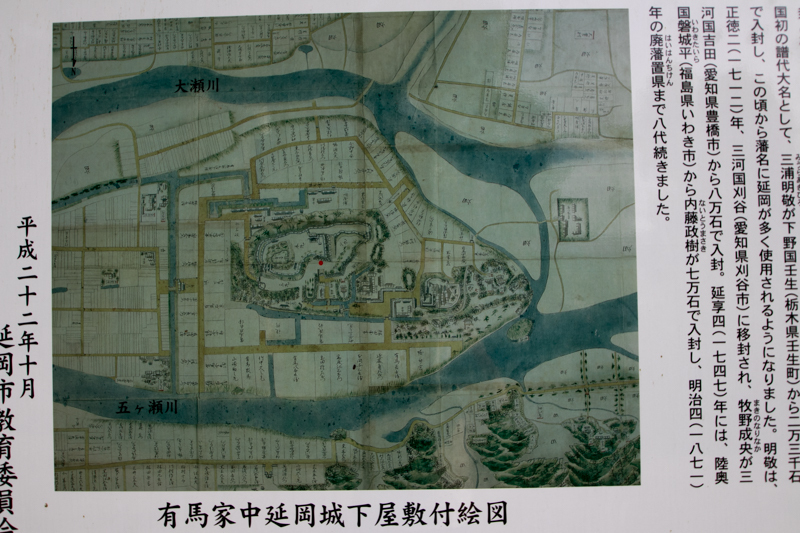 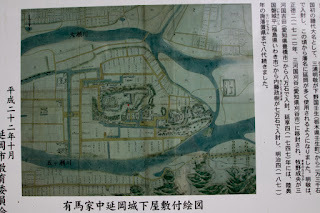 Subsequent to Meiji revolution all building was broken, and now castle site becomes a historical part. 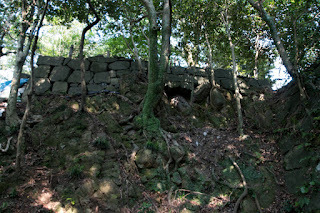 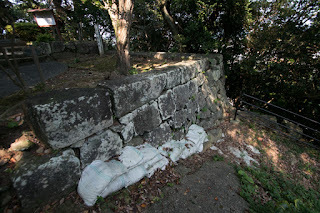 As overtop building was lost, presence of sheer stone wall further increased in the castle. Although it is quite unbalanced, but as a result of one point luxury principle of this castle, it becomes prominent among castles of equivalent size small lords. Because of its location it takes time to visit castle by any route, but it is valuable to visit on occasion of traveling neighbor place. 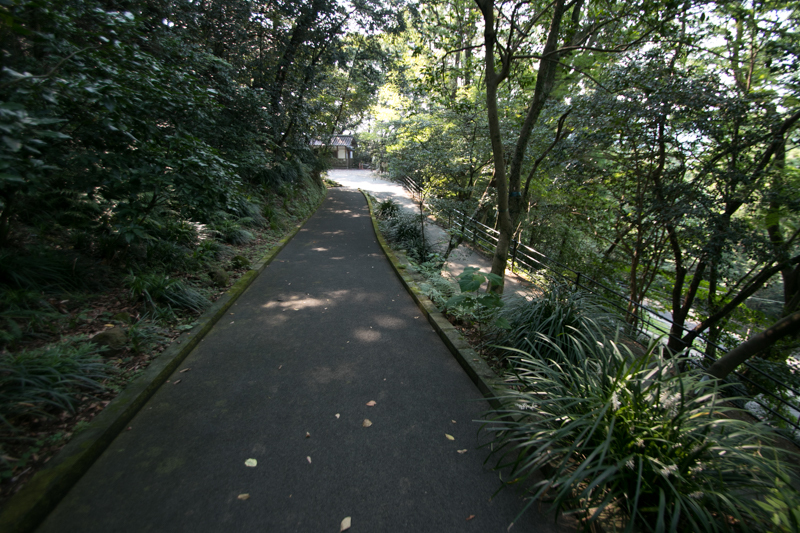 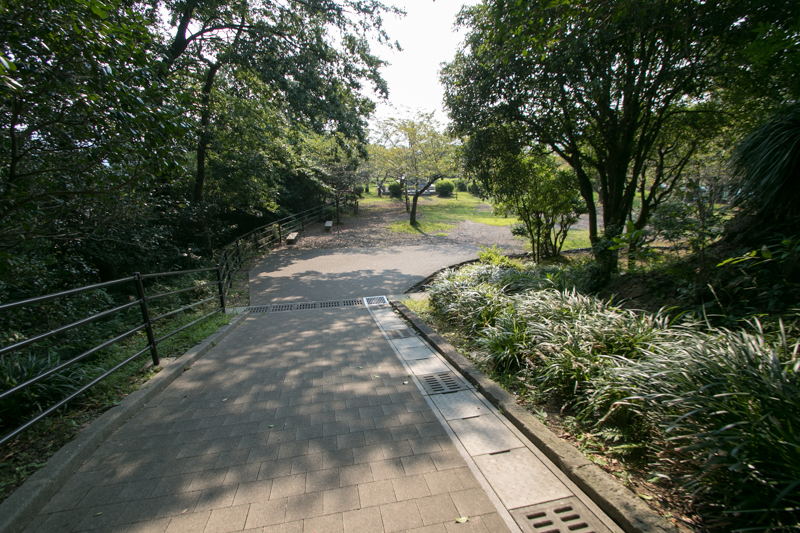 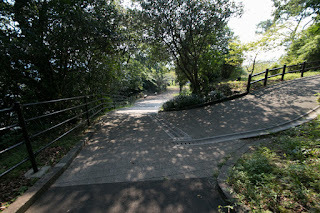 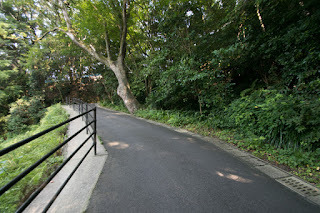 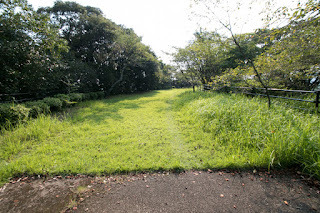 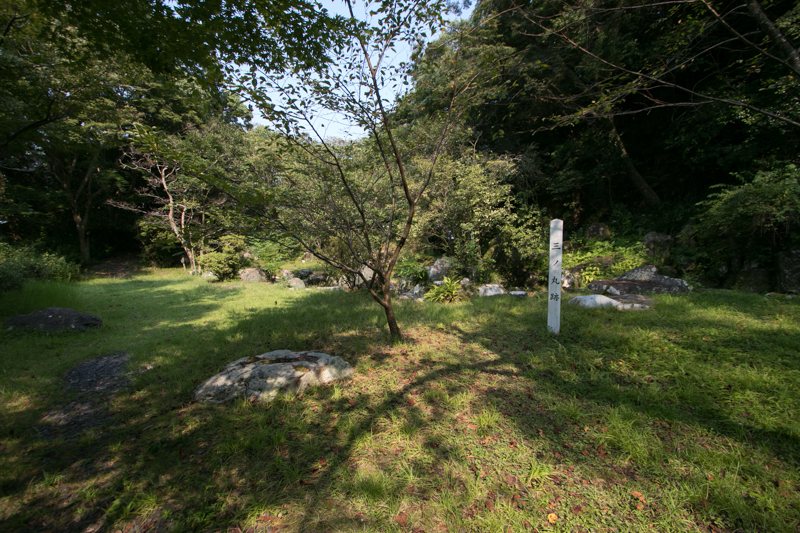 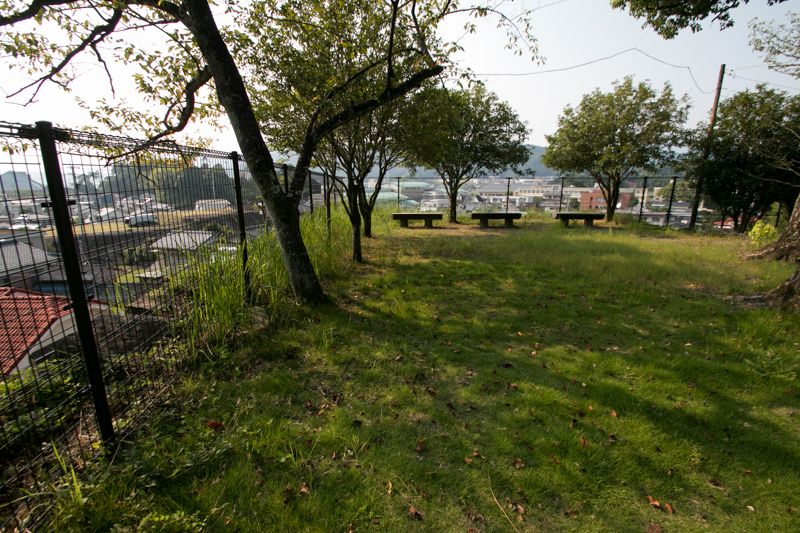 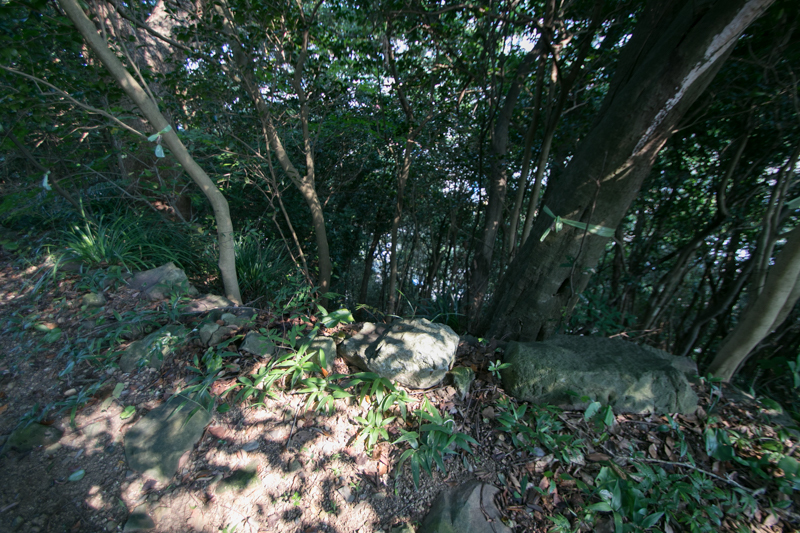 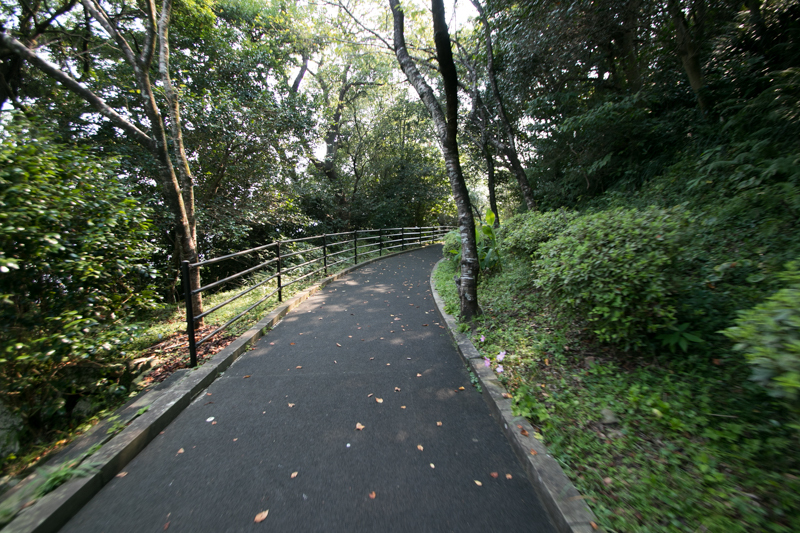 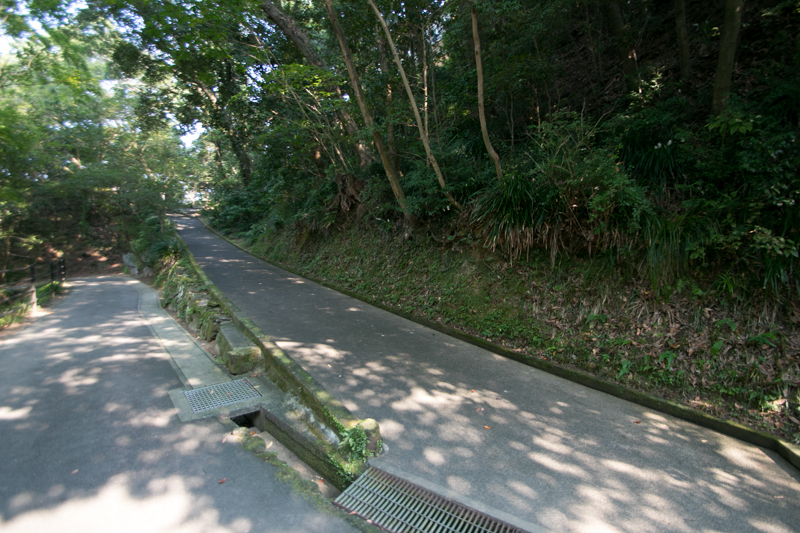 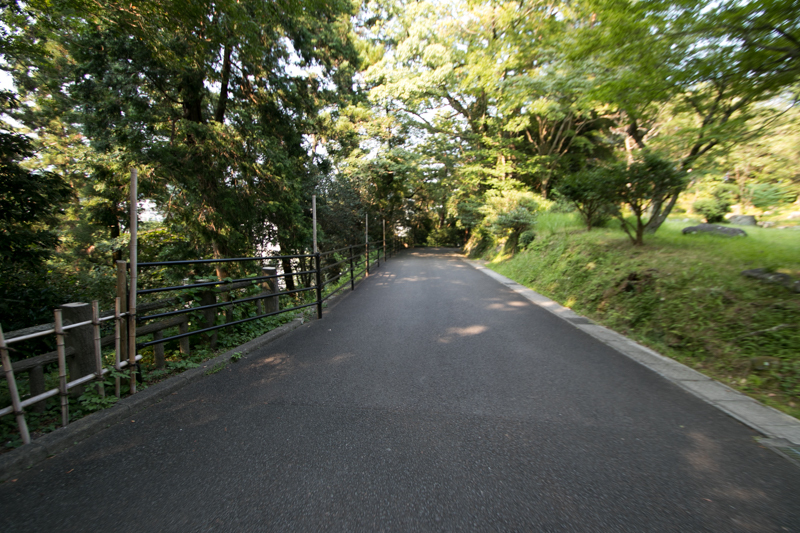 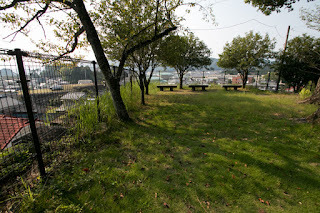 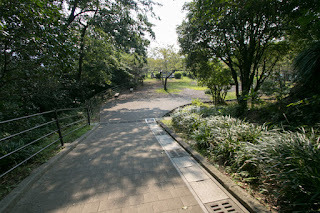 25 minutes walk from JR Kyushu Nippo Honsen line Nobeoka station. 10 minutes drive from Nobeoka Doro road Nobeoka interchange.